Photographer Milton Moore will share a visual tale of New England’s fishing industry changed by time in “Working Men, Working Boats,” an exhibit opening Oct. 4 in Bemidji State University’s Talley Gallery. 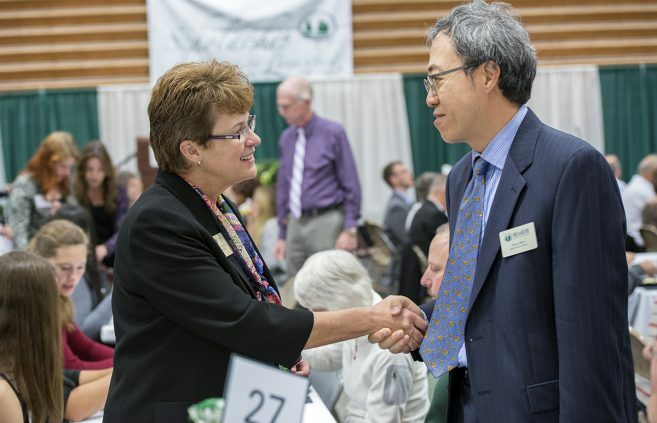 Dr. Marty J. Wolf, professor of computer science, will explore the challenges that come from managing a secure information technology infrastructure while respecting the principles of academic freedom to open BSU’s fall Honors Council Lecture Series. Four Bemidji State University faculty members, including recently recognized University Scholar Dr. Marty J. Wolf, will present lectures to the BSU campus community as part of the university’s fall Honors Council Lecture Series. 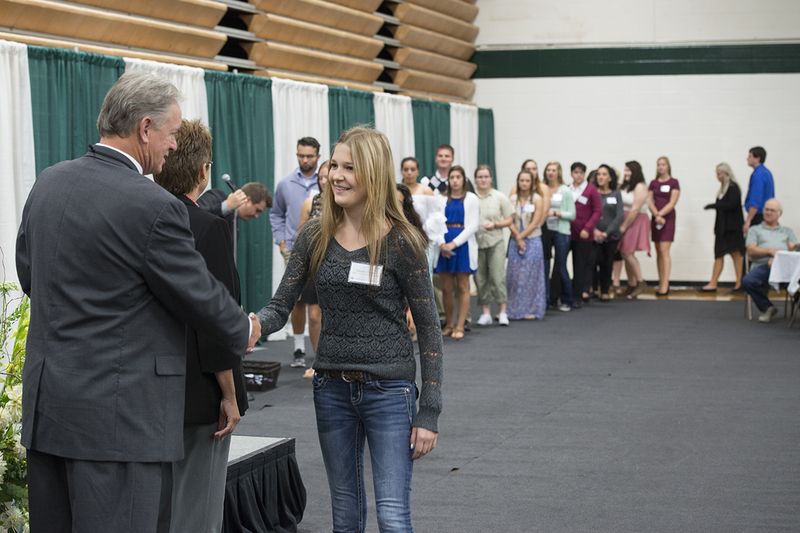 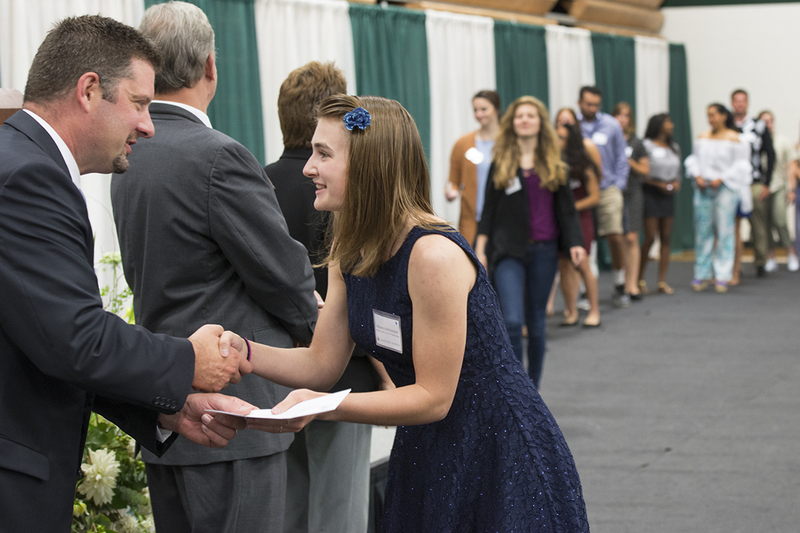 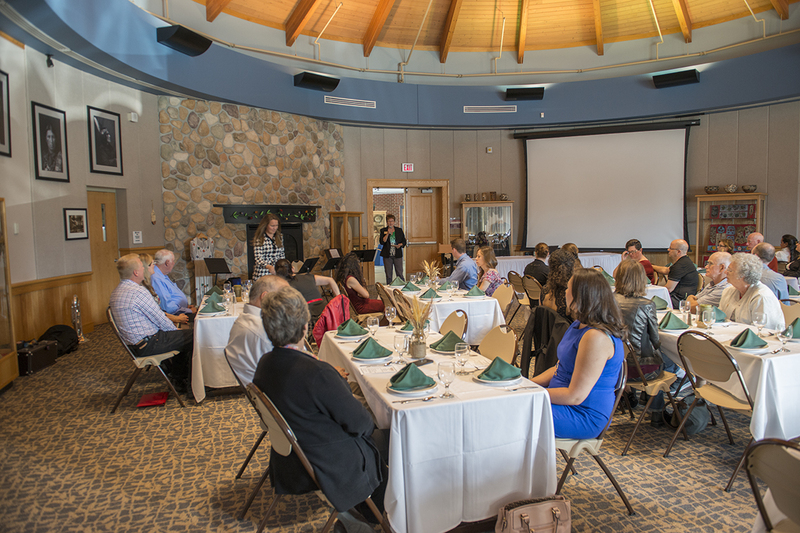 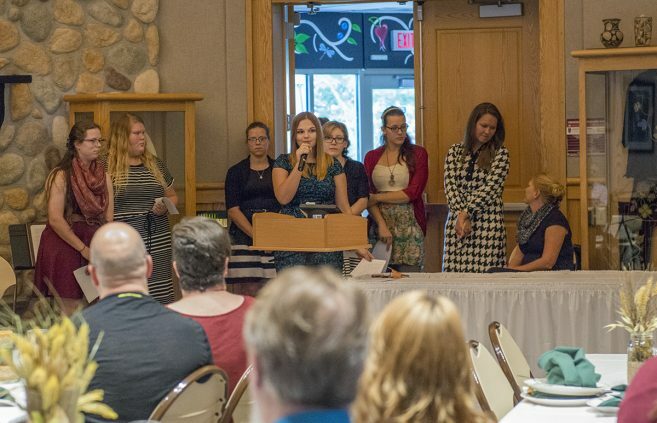 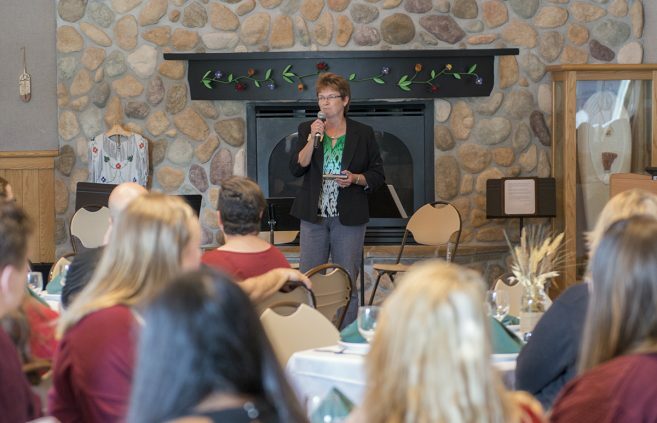 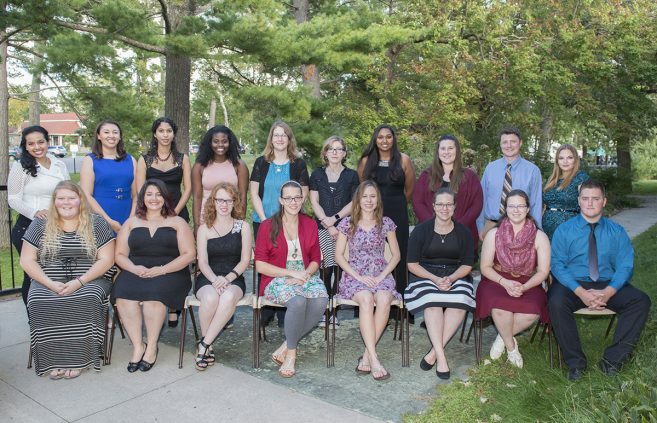 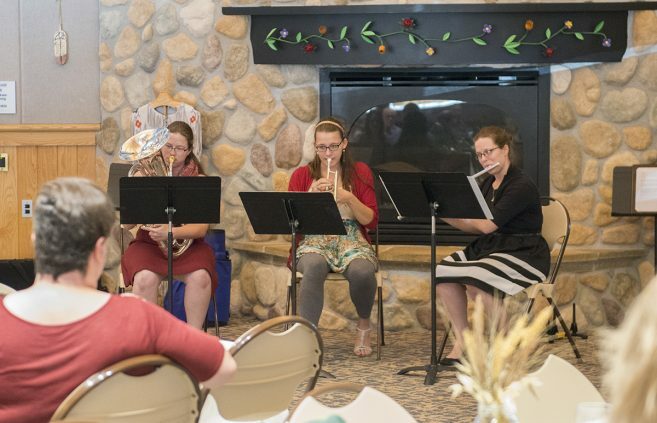 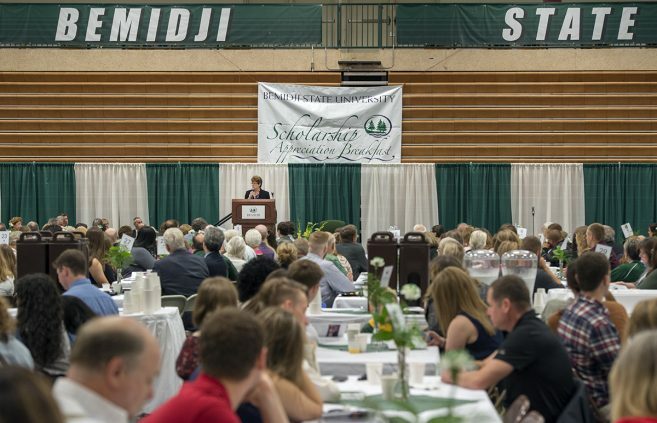 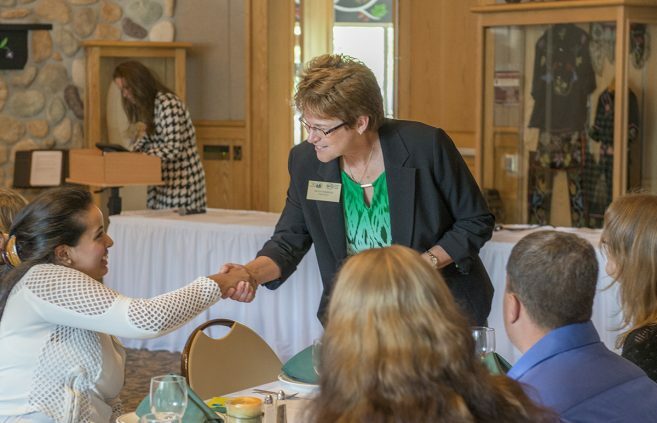 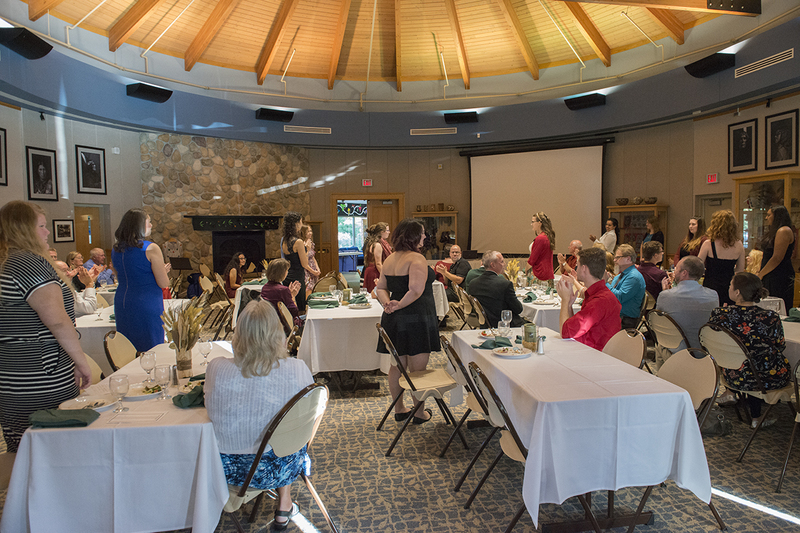 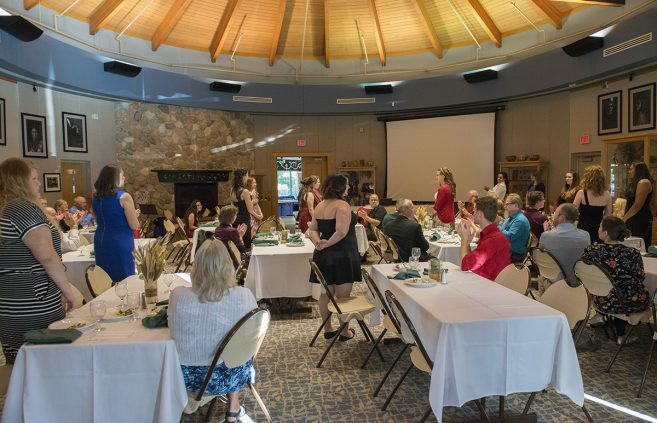 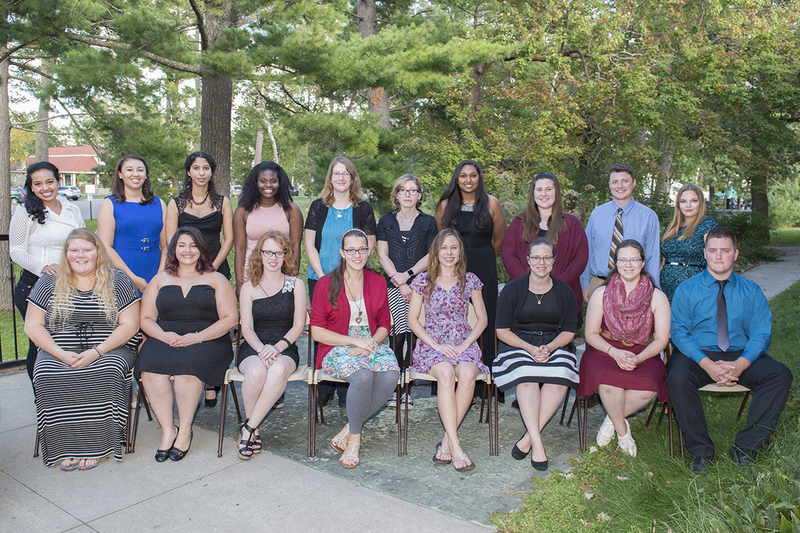 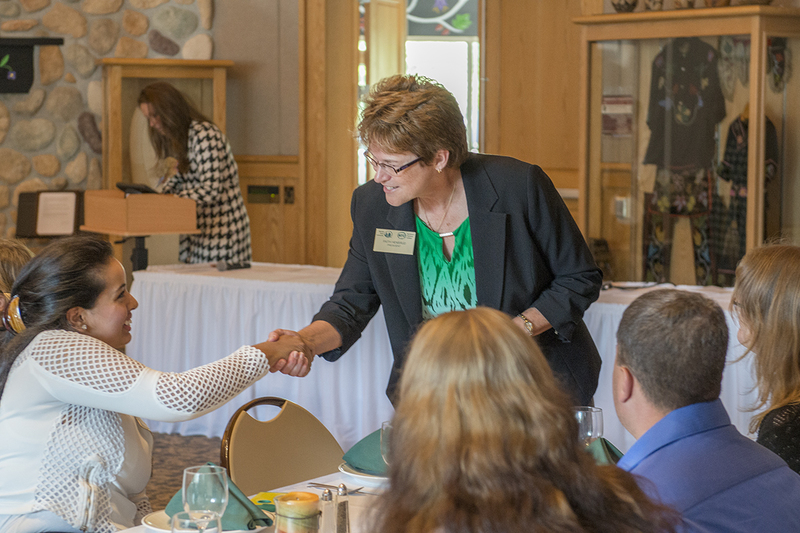 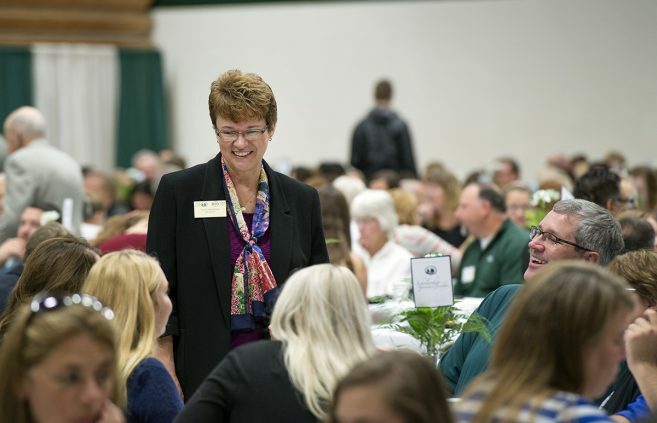 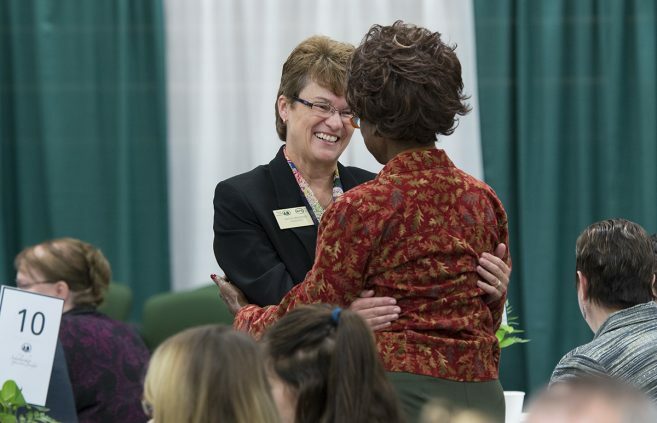 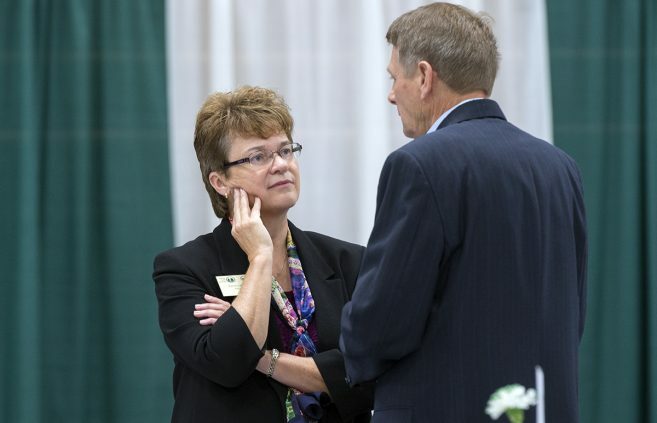 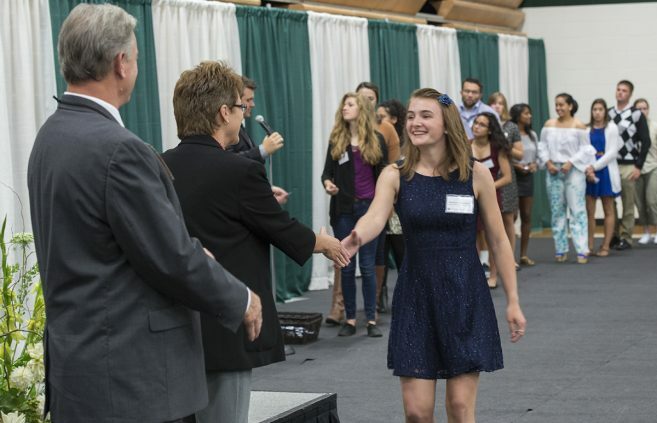 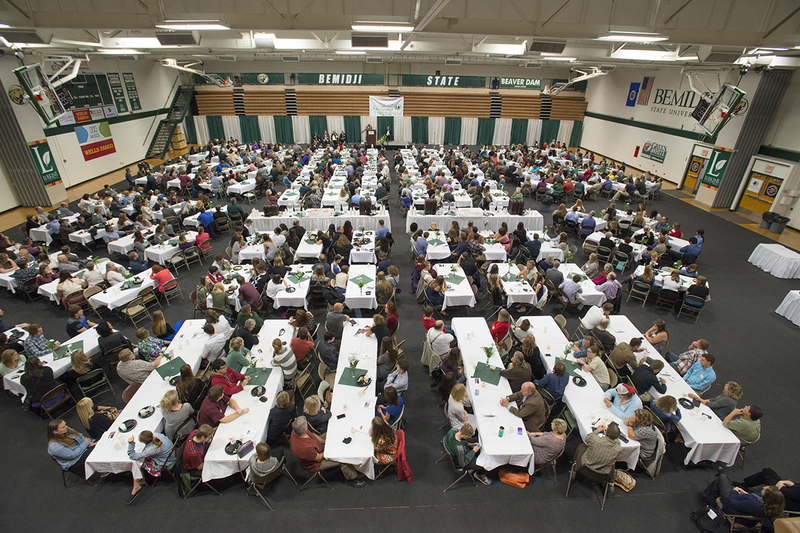 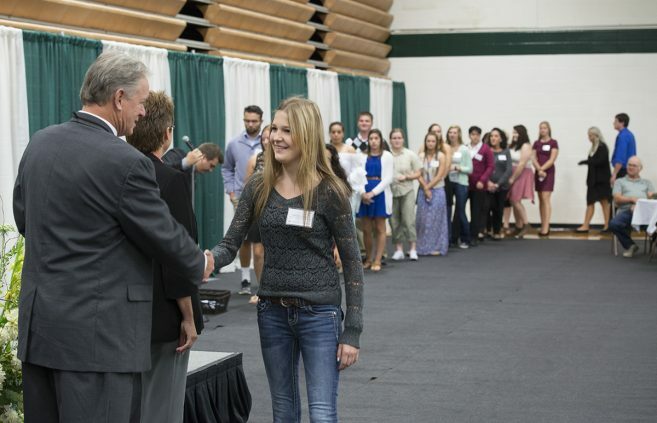 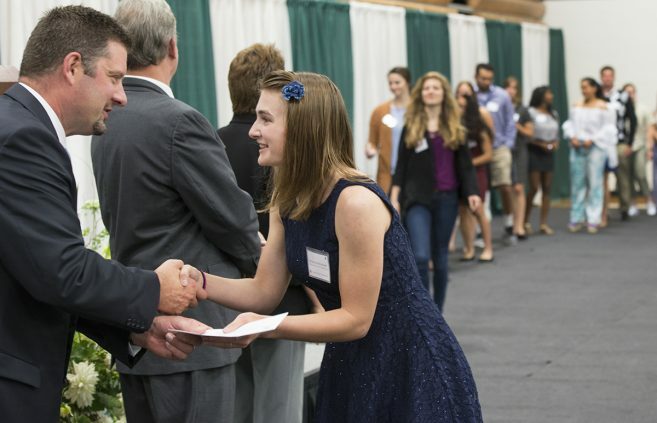 President Hensrud and others celebrated Bemidji State University’s new class of McNair Scholars at an evening dinner on Sept. 17. 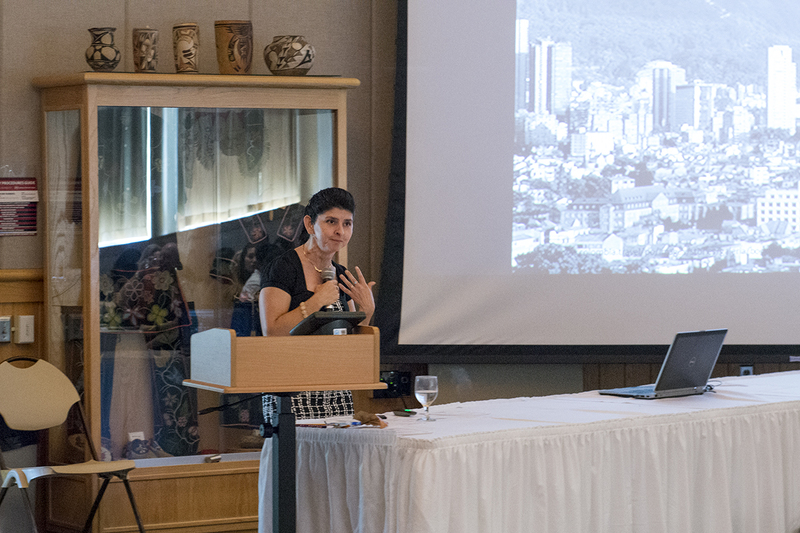 The McNair Scholars Program helps qualifying first-generation college students prepare for graduate school and eventual doctoral work. 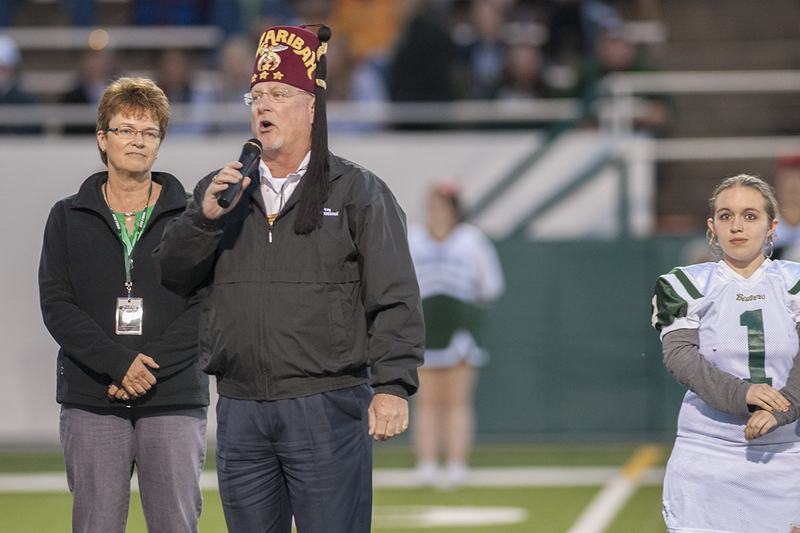 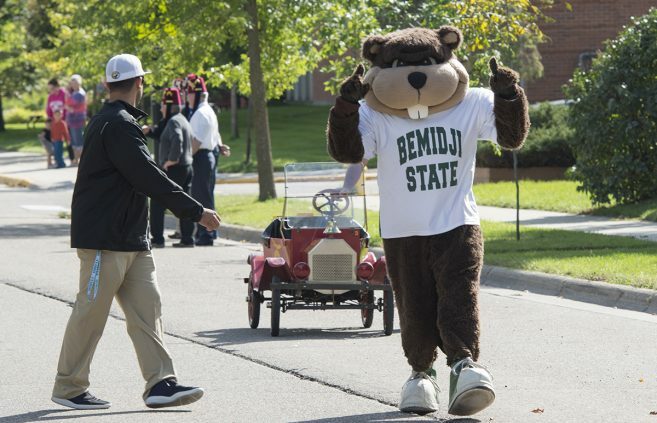 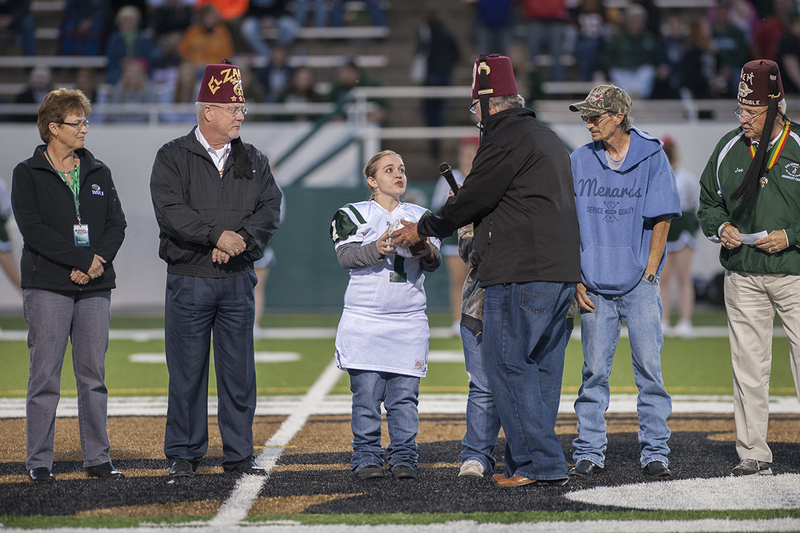 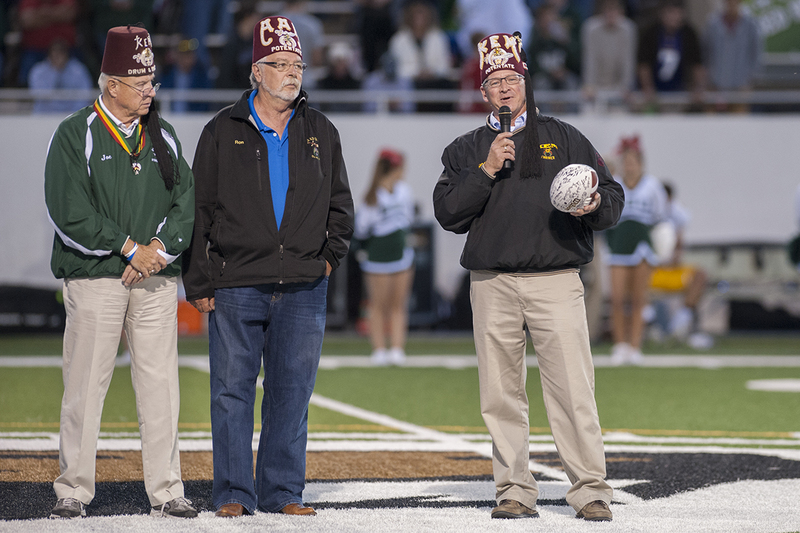 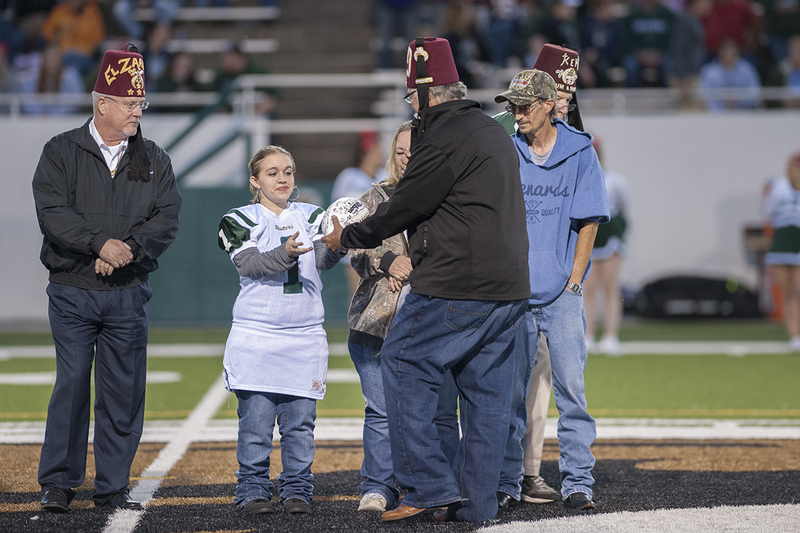 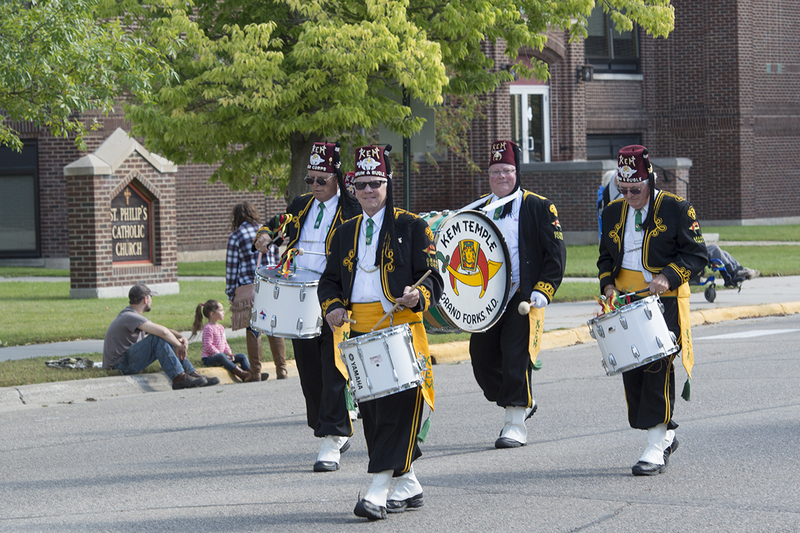 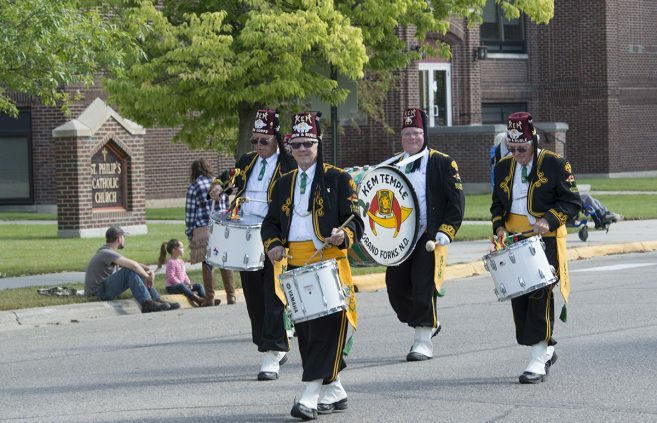 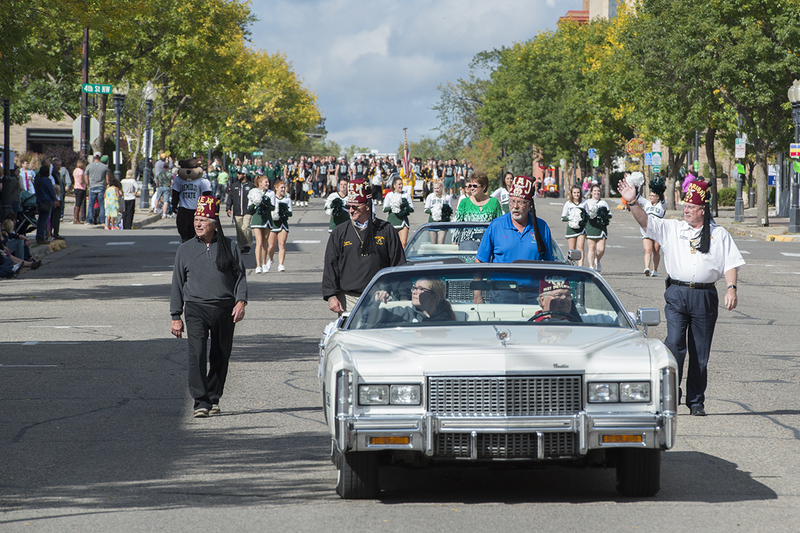 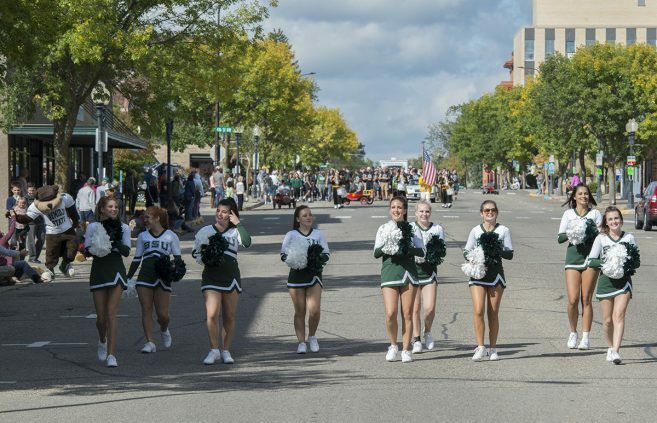 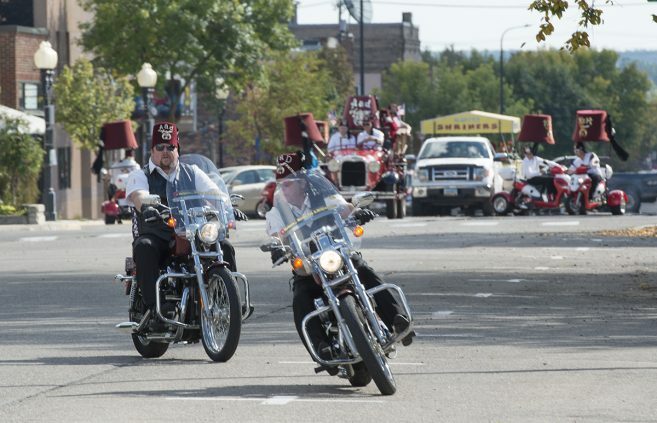 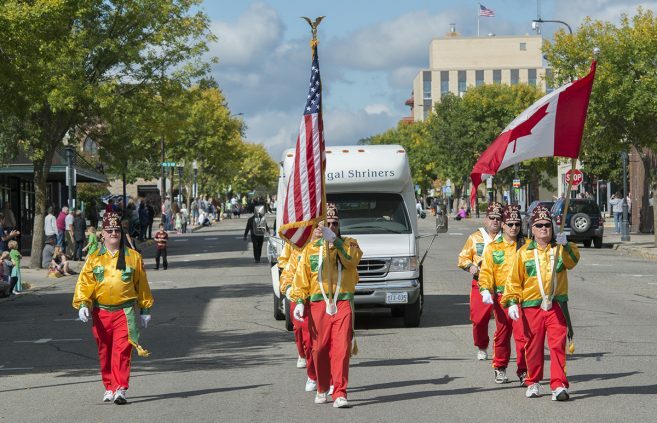 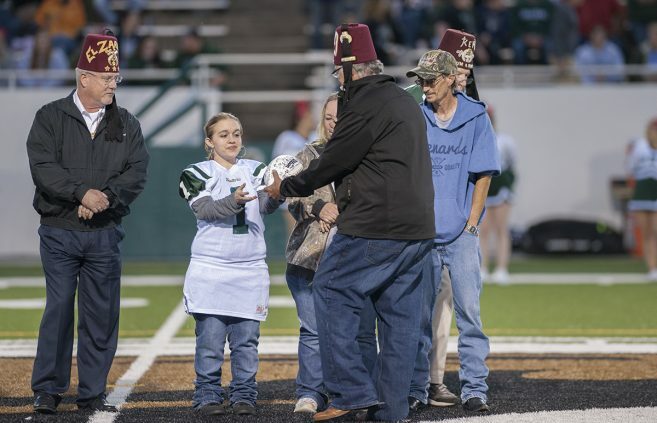 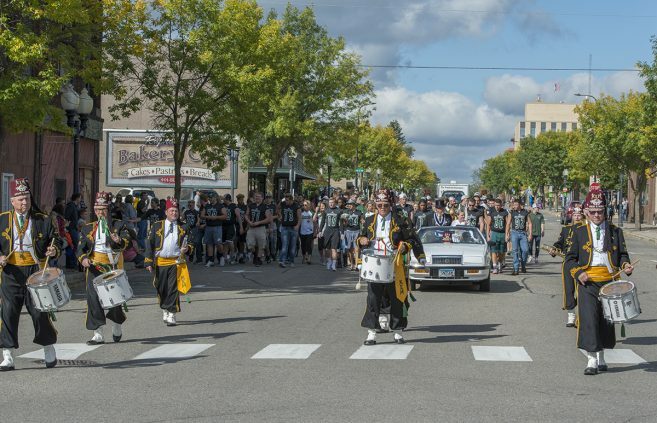 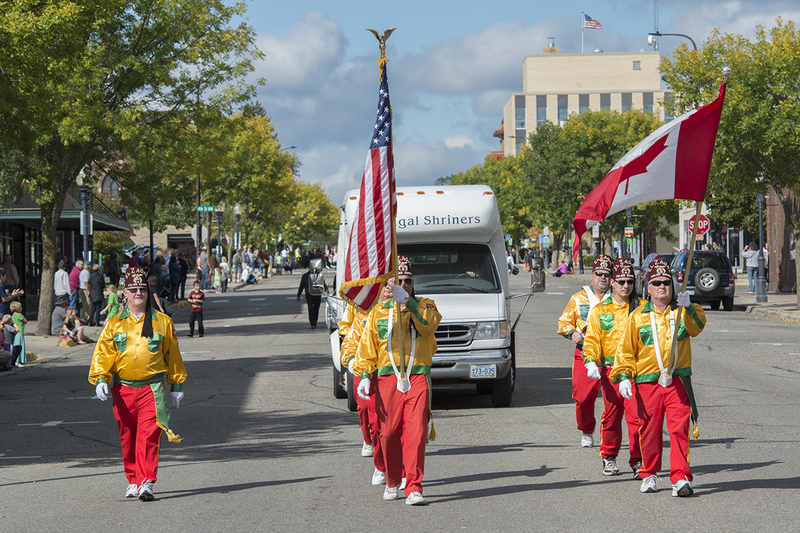 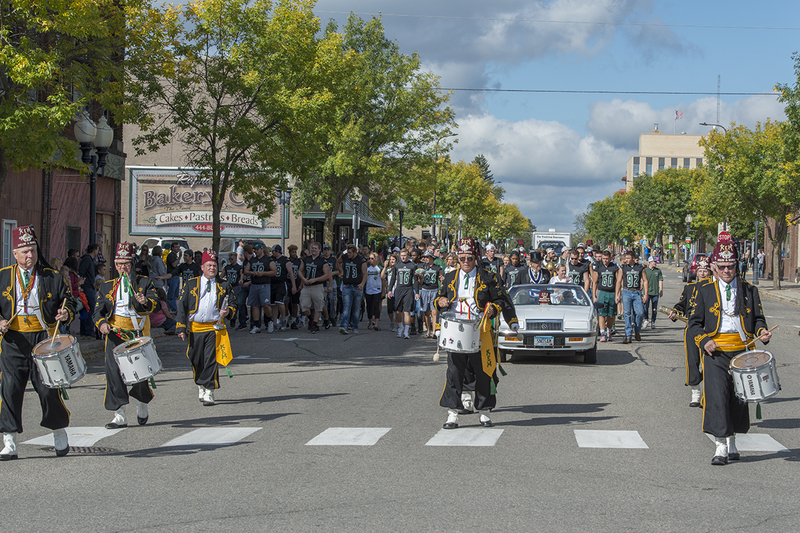 Bemidji State University treated the Bemidji community to another exciting Shrine Game weekend, Sept. 16-17. 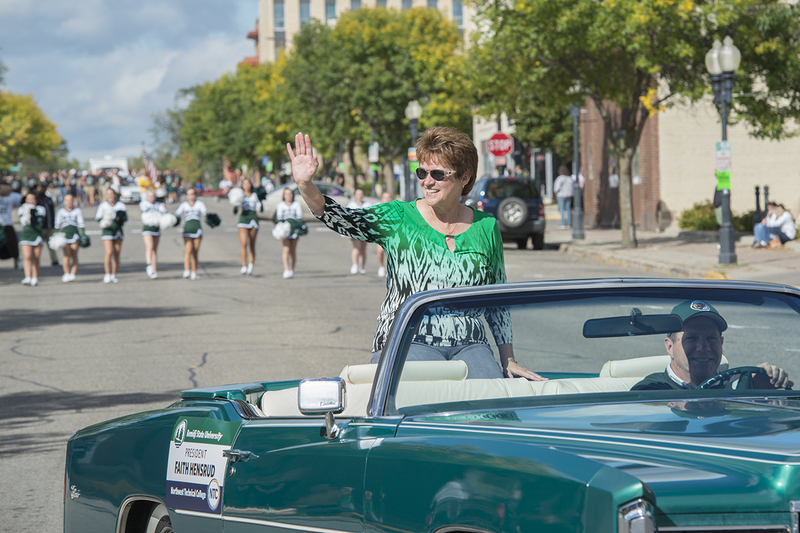 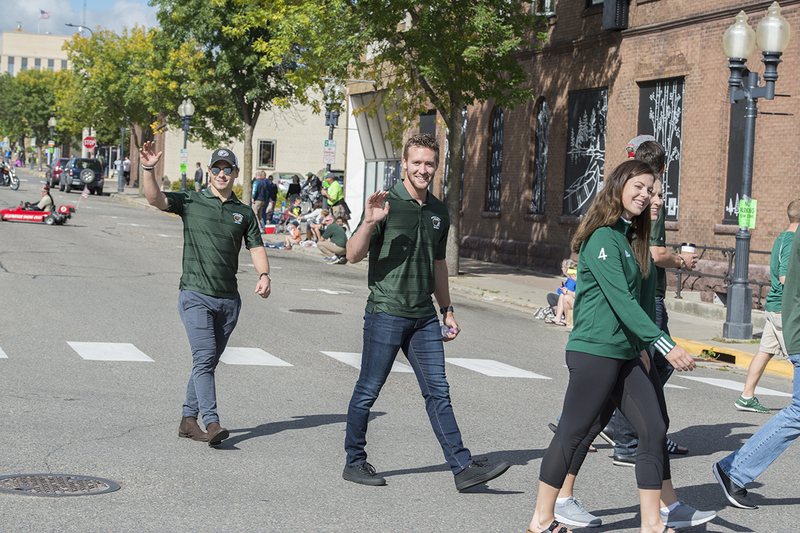 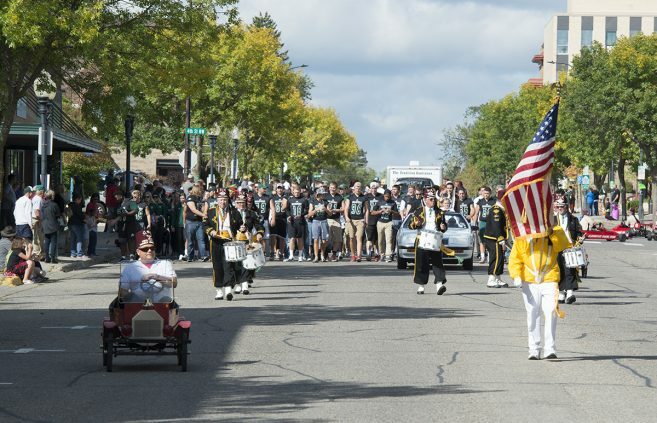 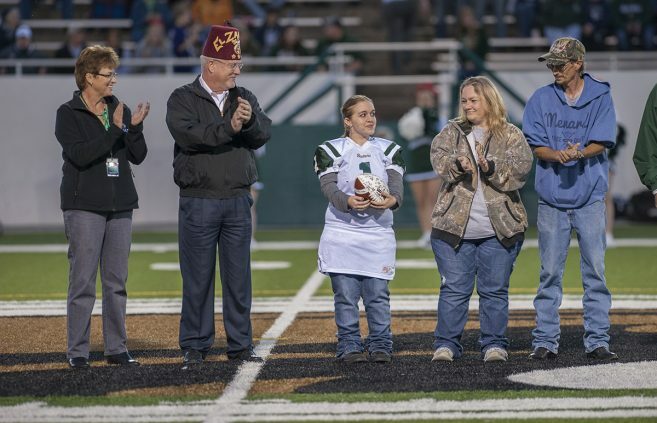 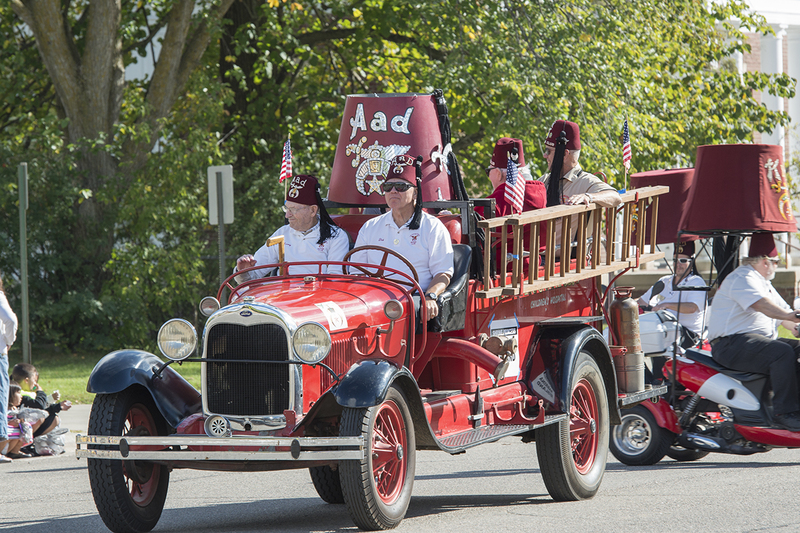 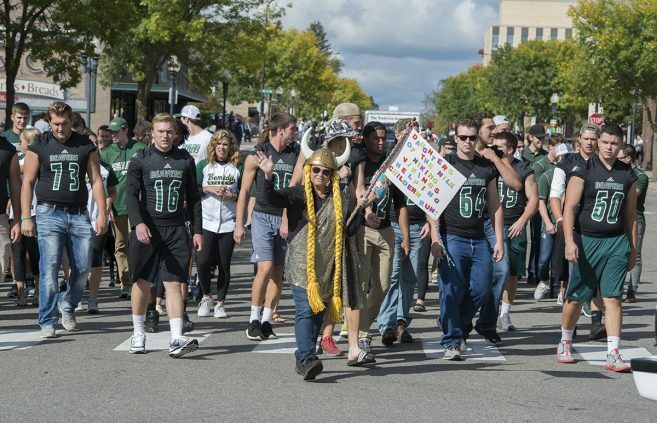 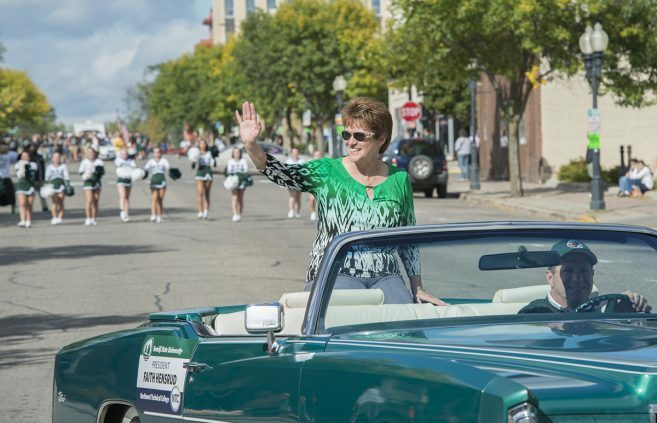 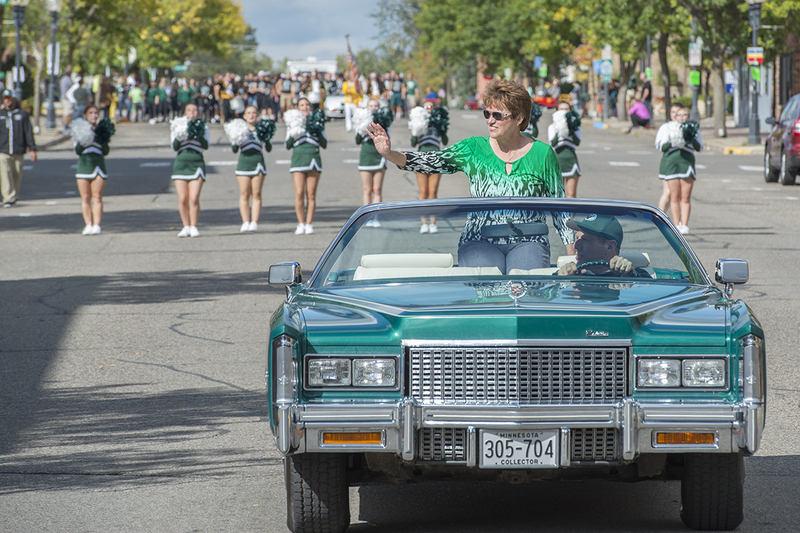 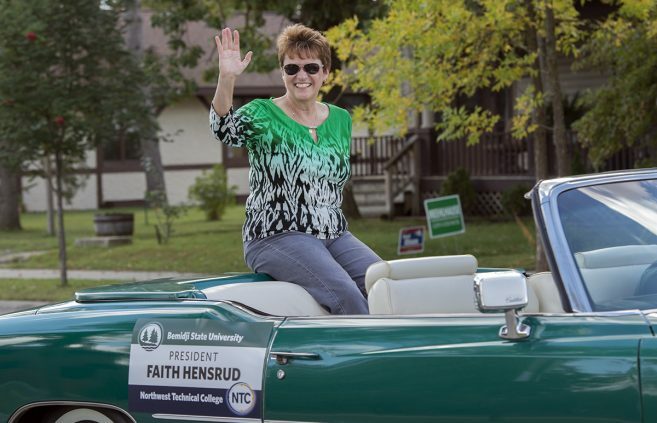 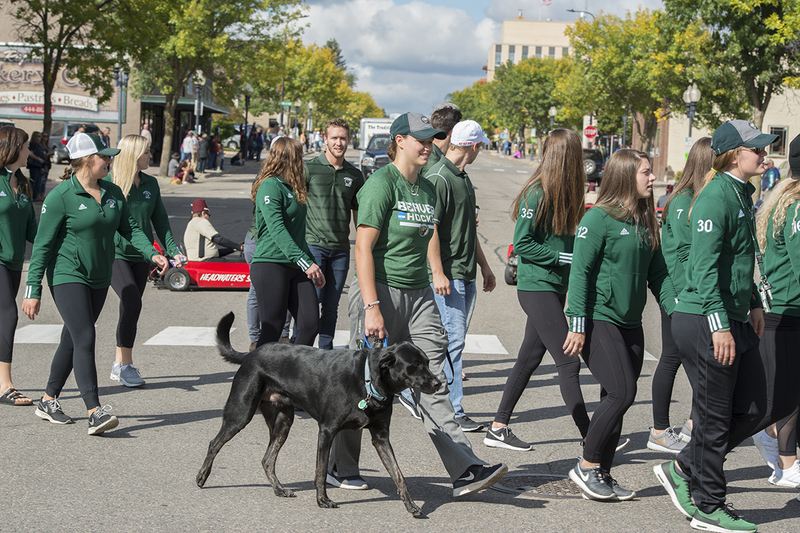 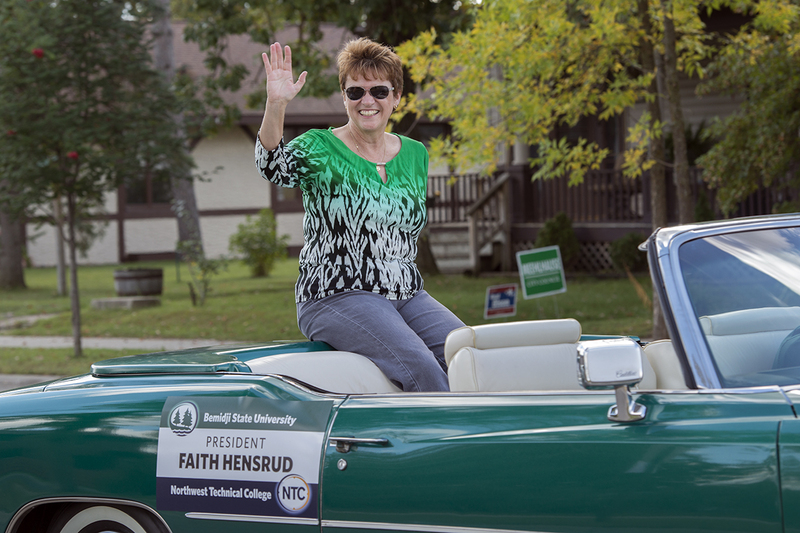 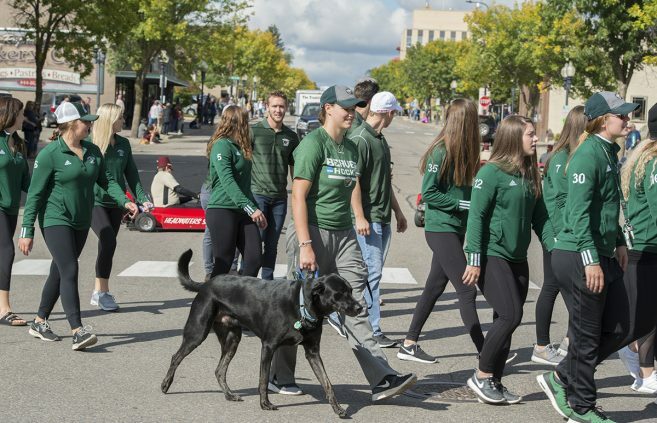 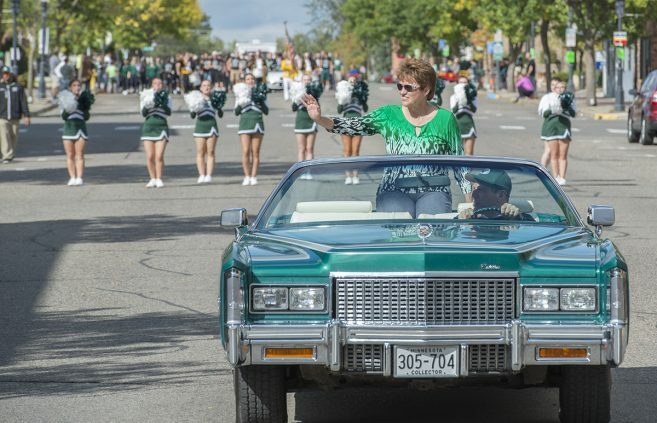 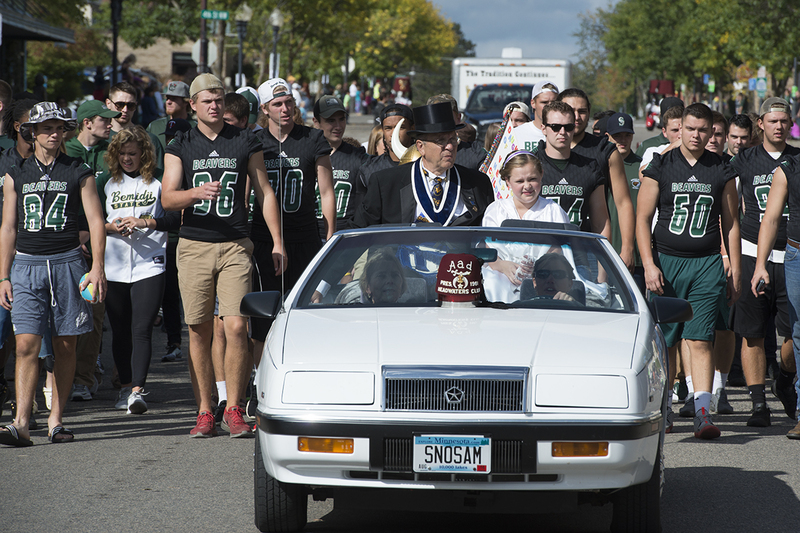 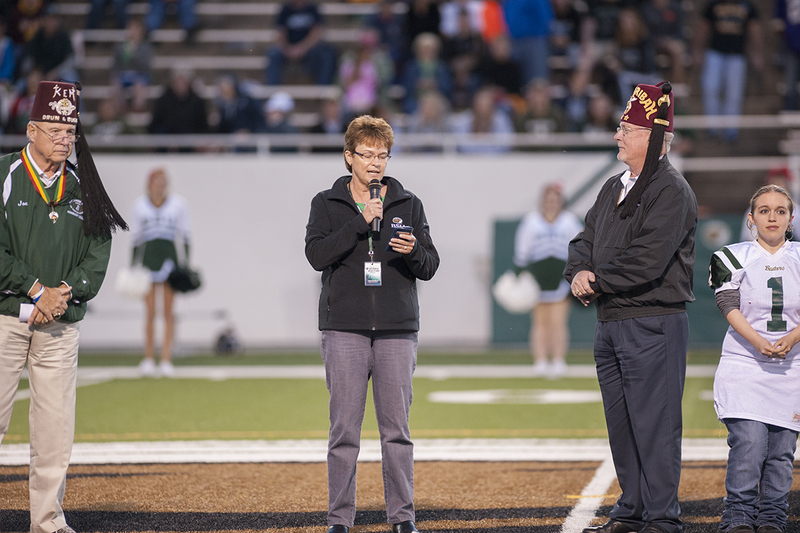 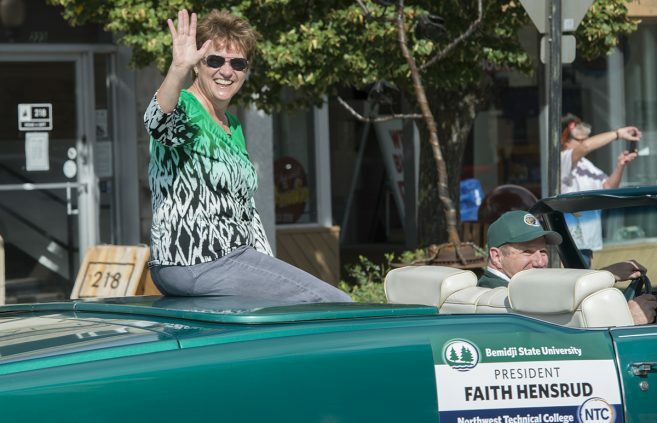 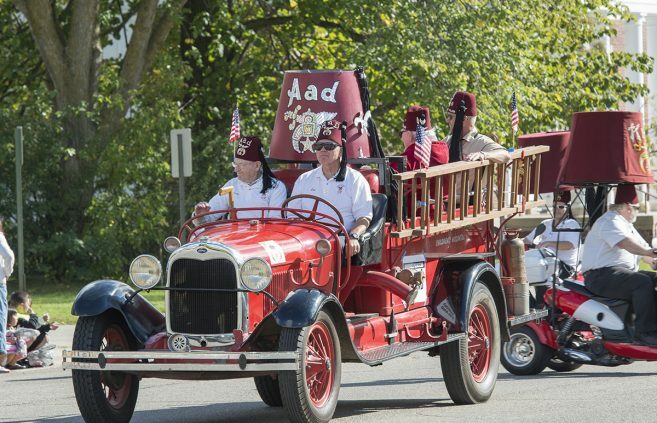 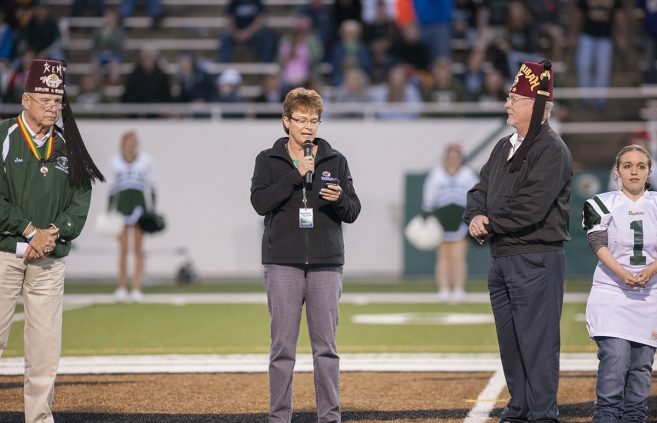 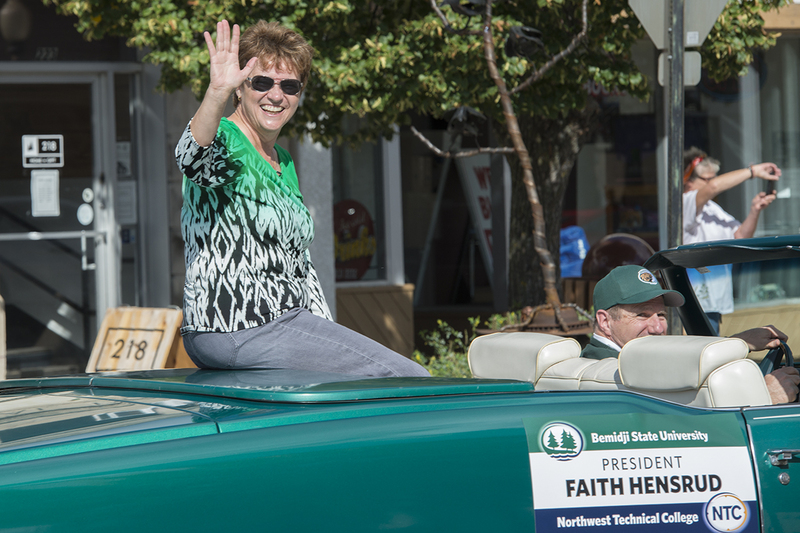 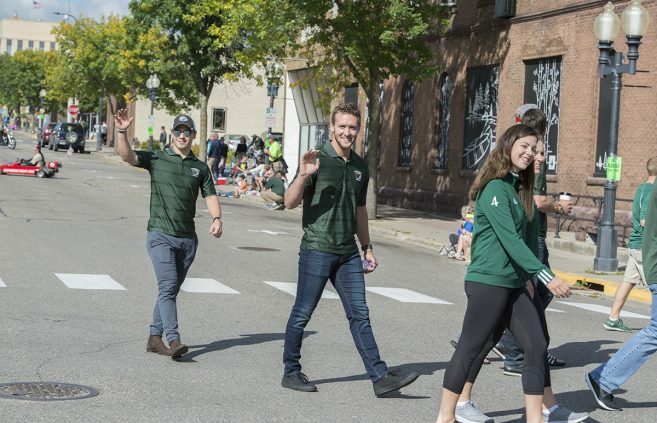 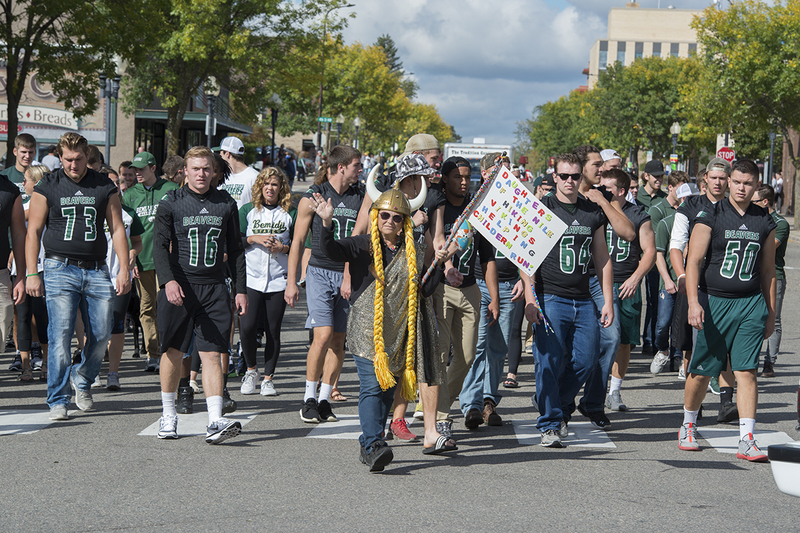 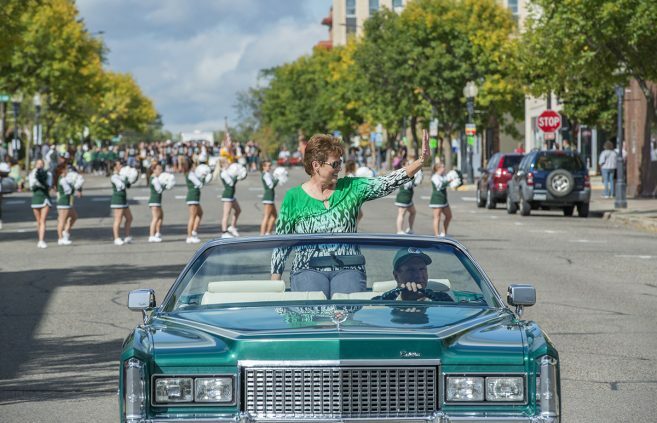 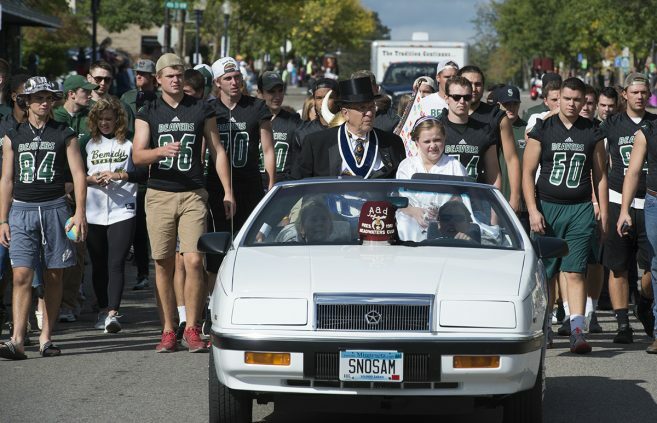 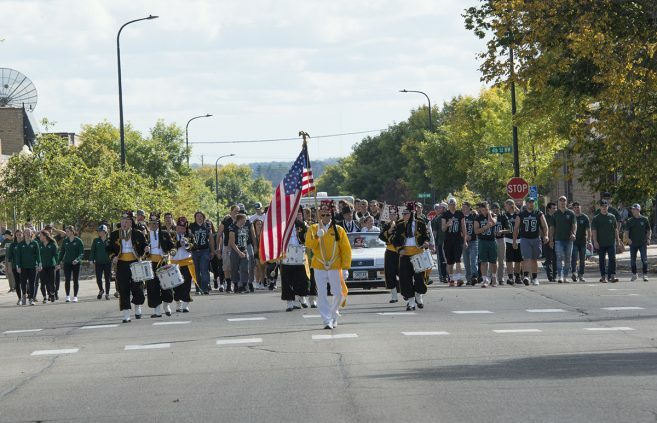 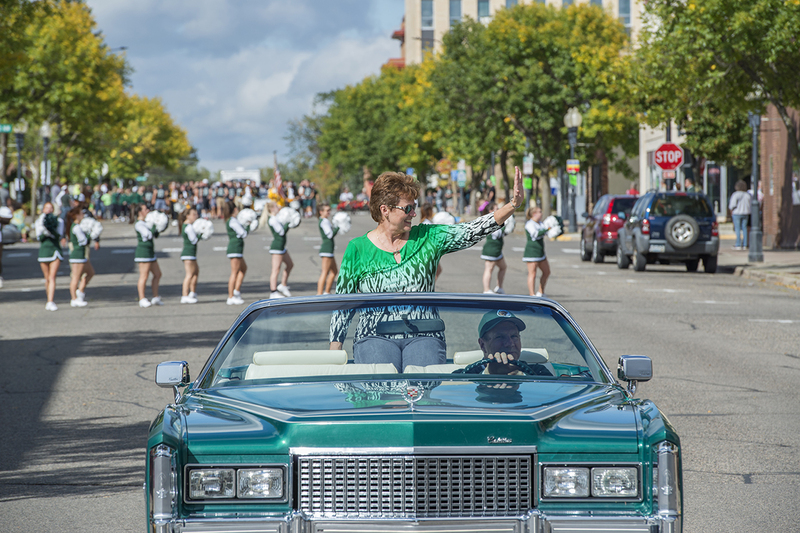 President Hensrud and her husband Neil took part in the traditional pre-game parade, and BSU improved to 3-0 with a 45-17 win over conference rival Wayne State. 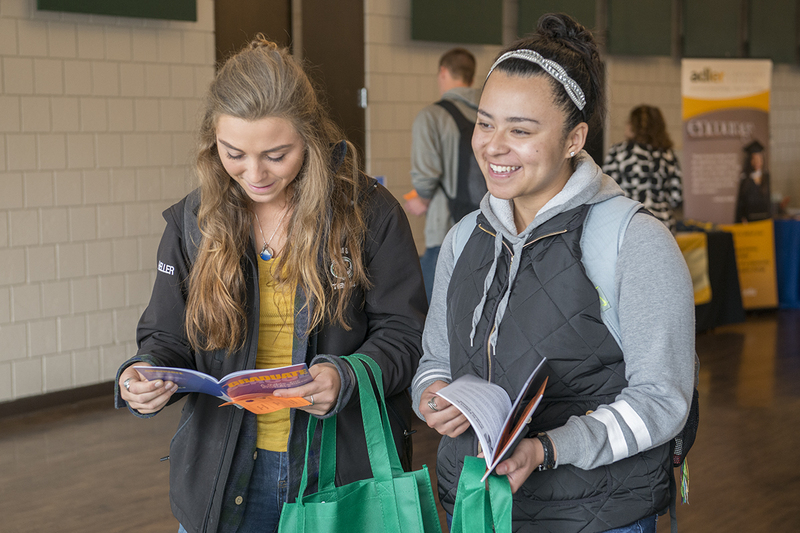 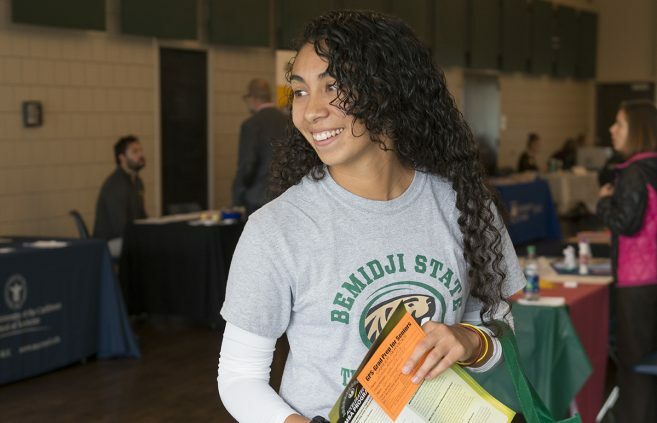 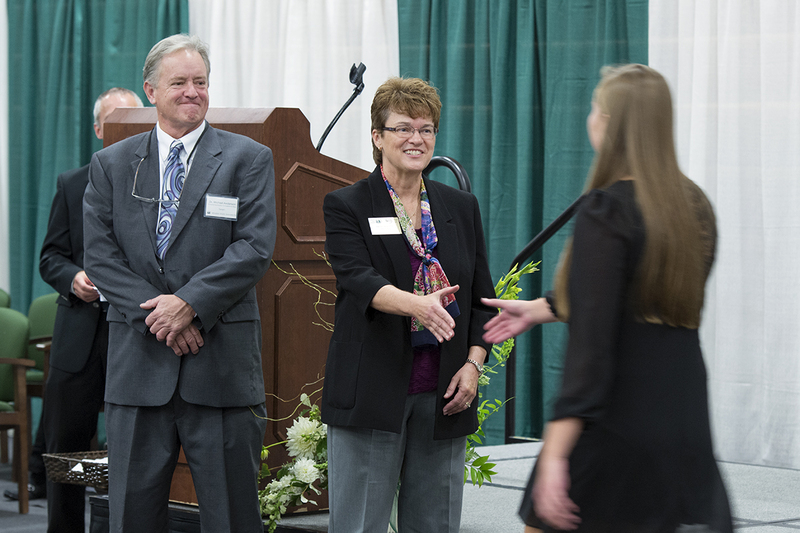 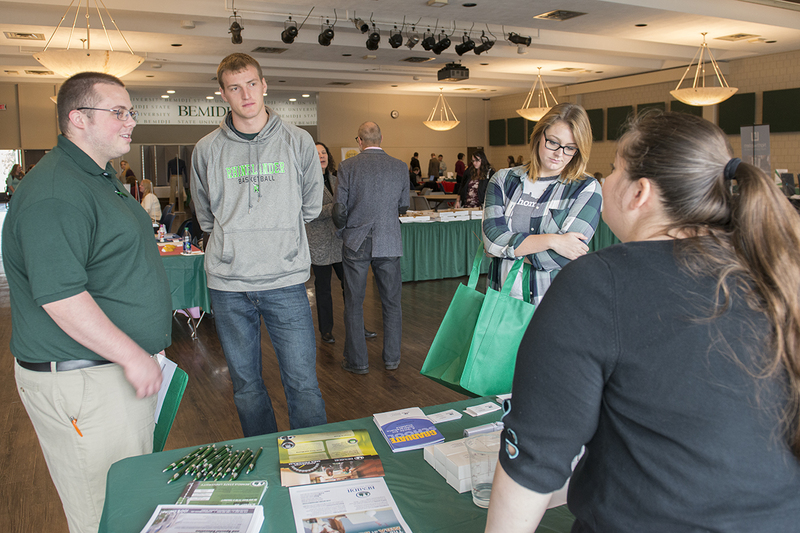 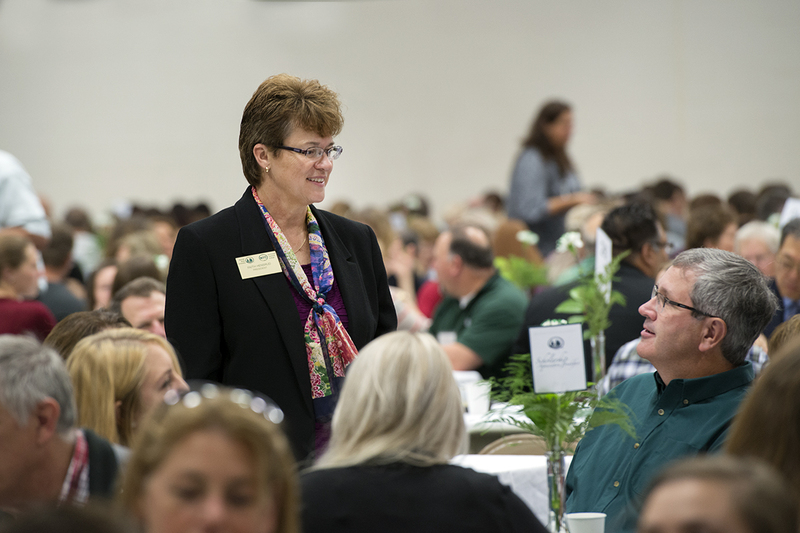 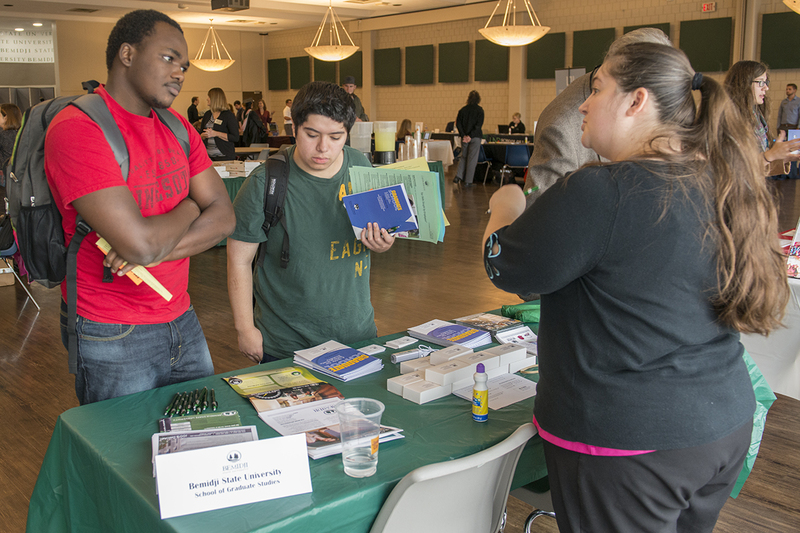 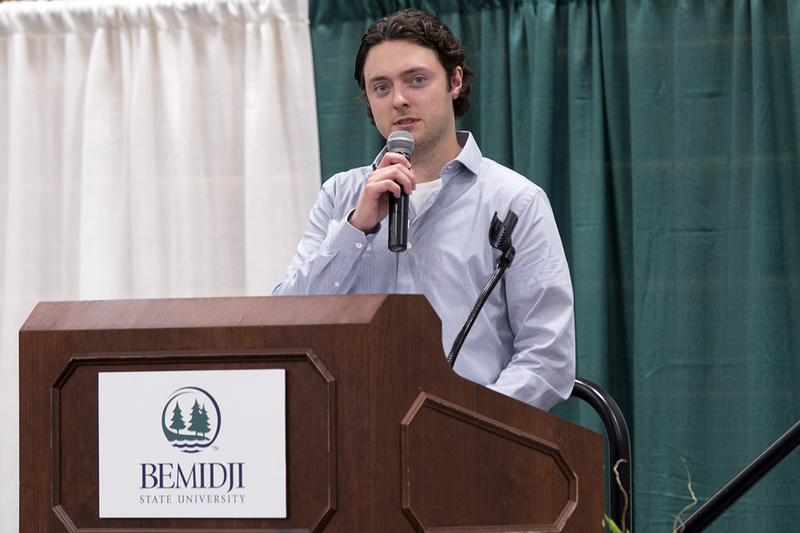 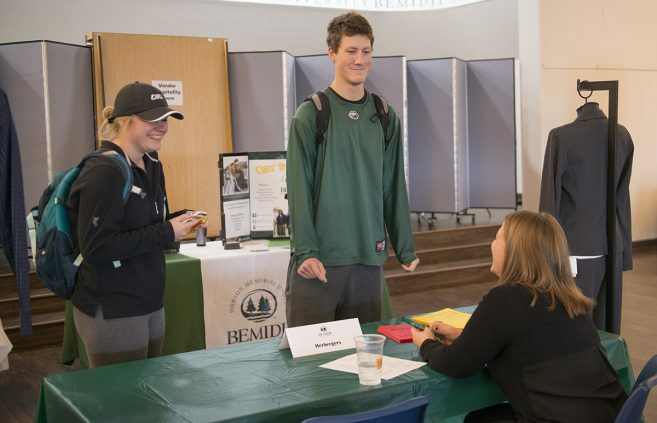 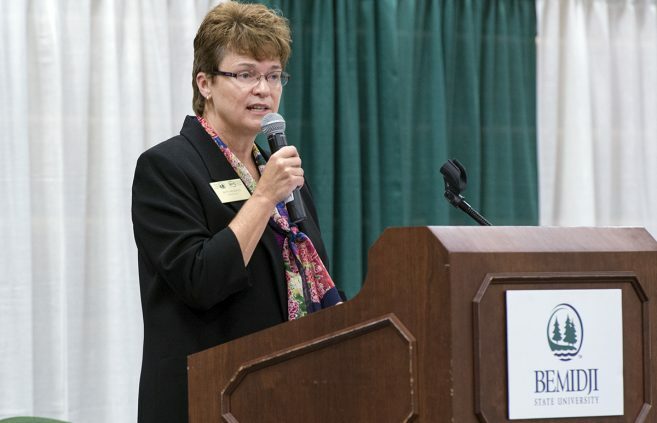 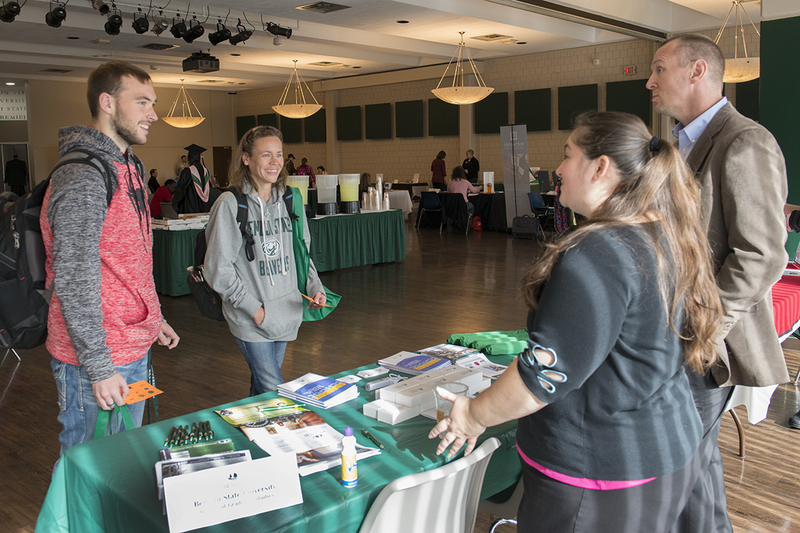 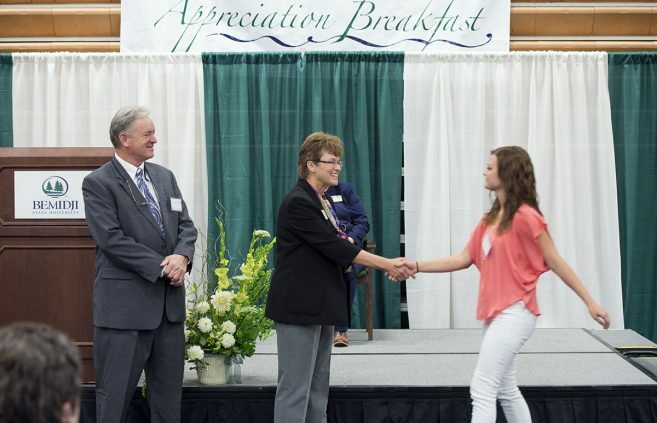 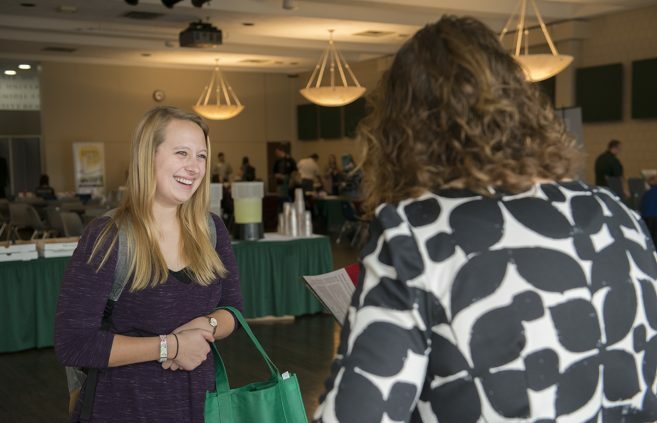 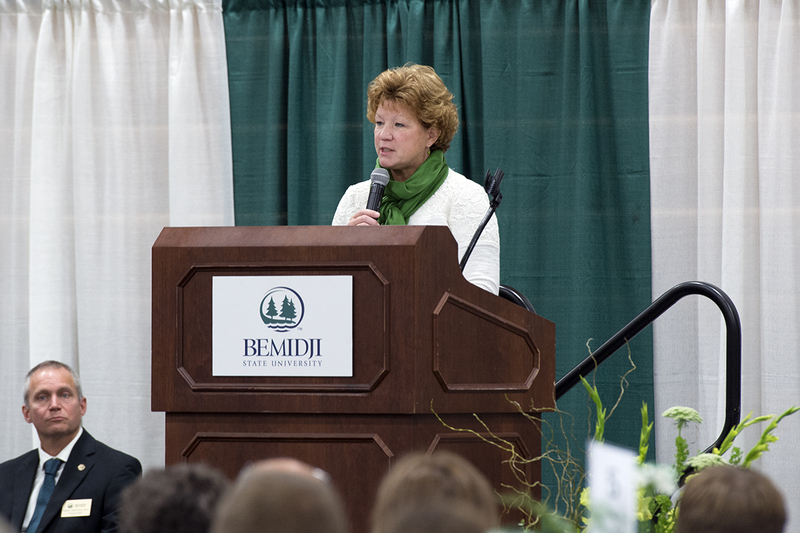 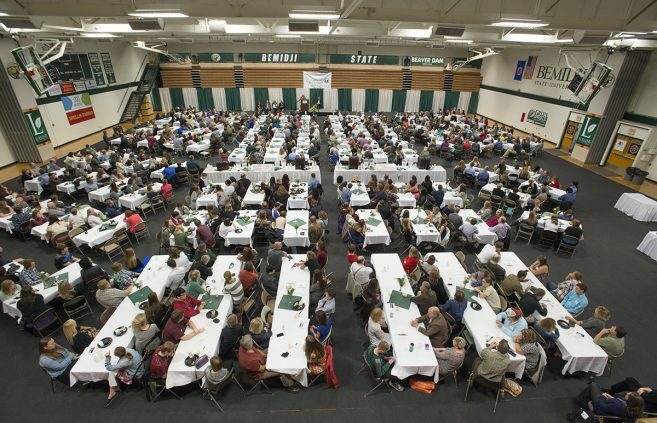 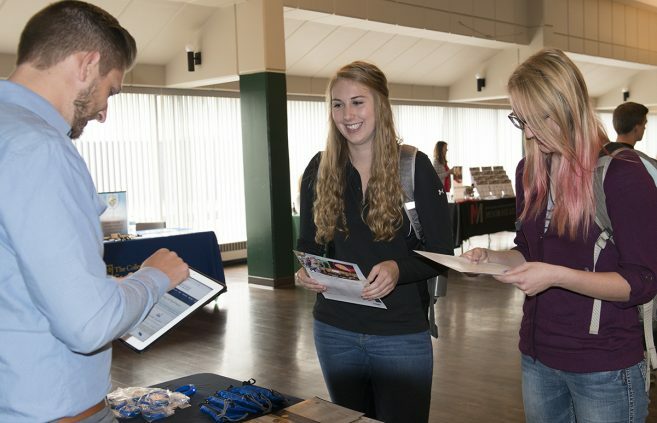 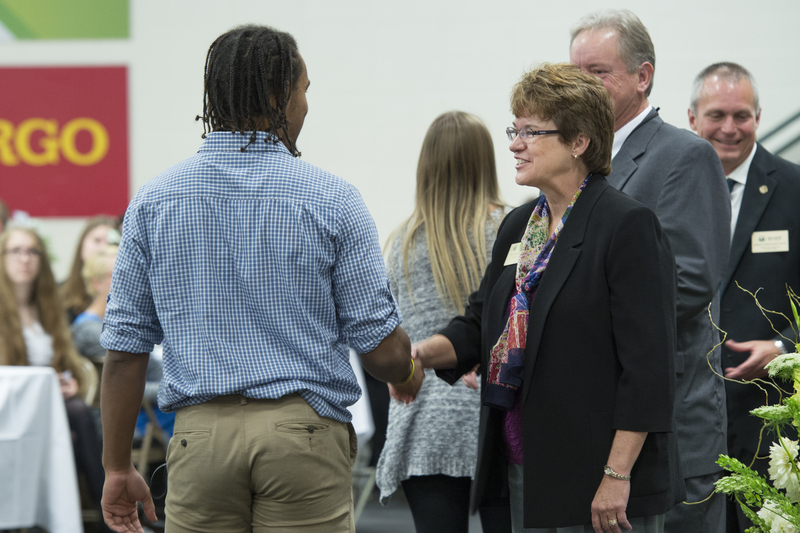 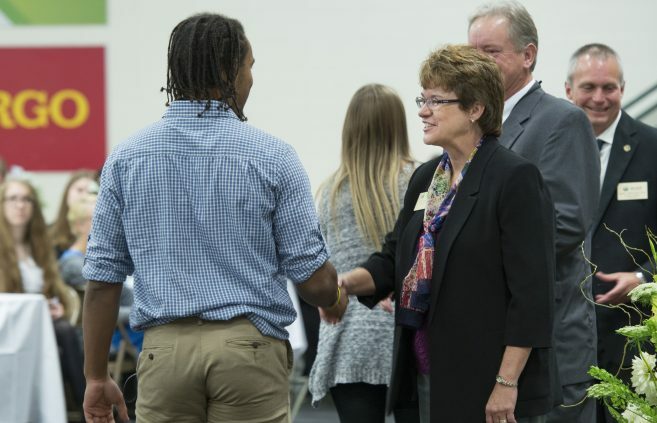 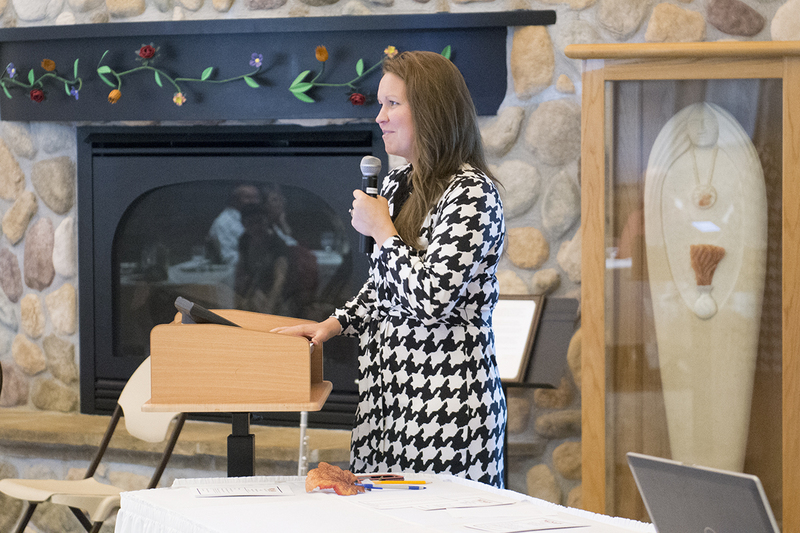 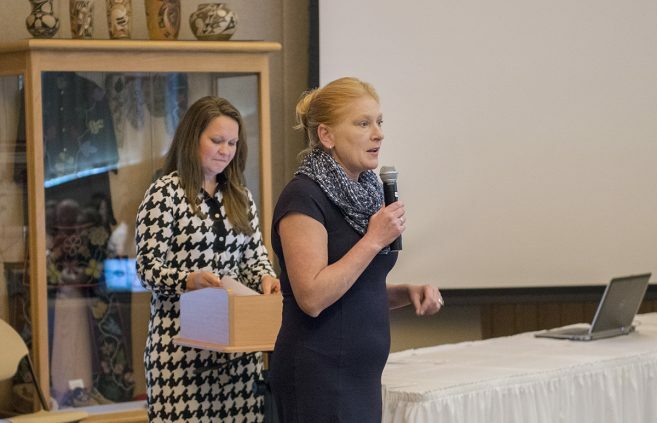 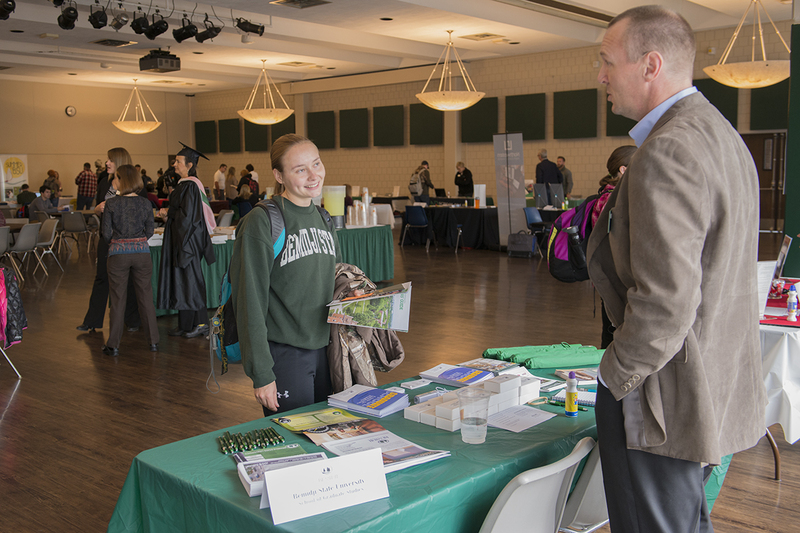 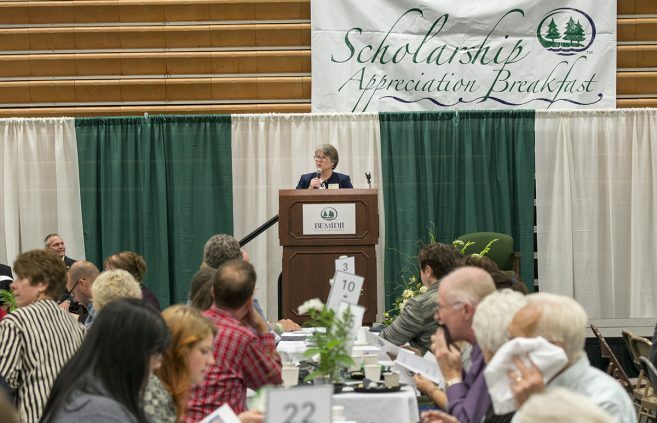 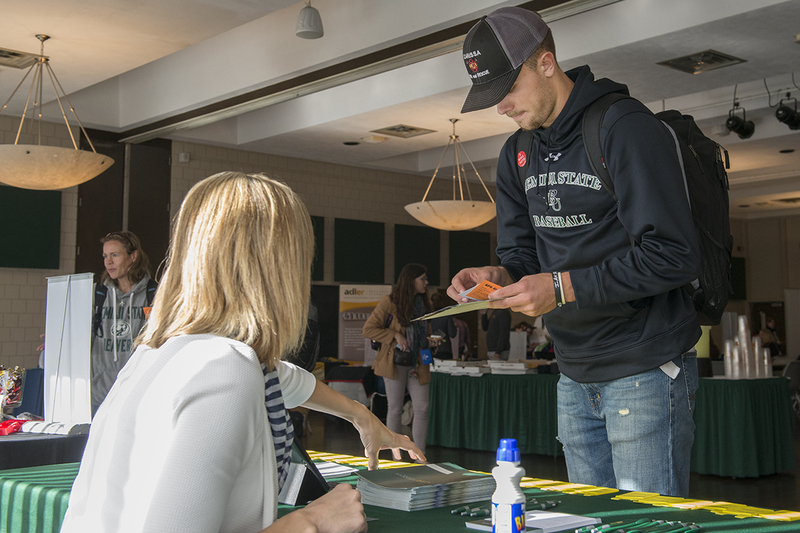 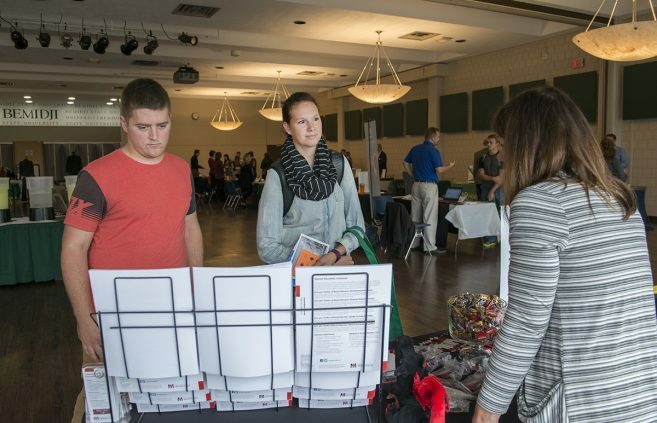 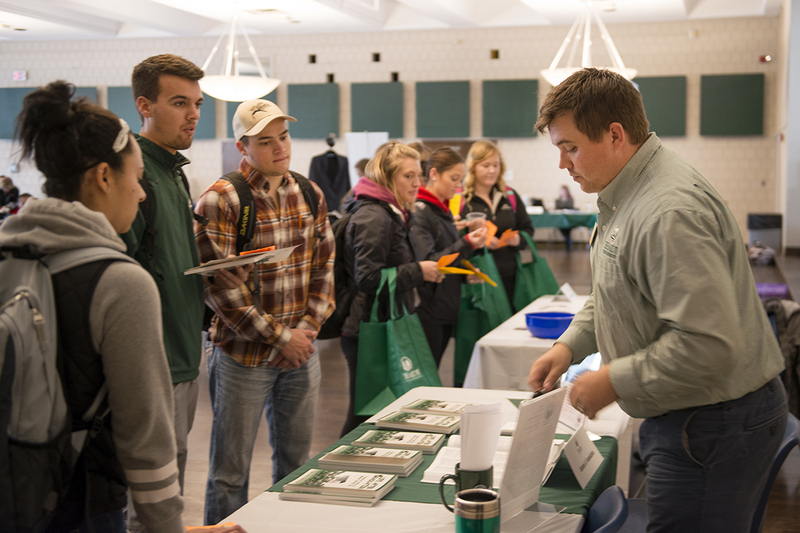 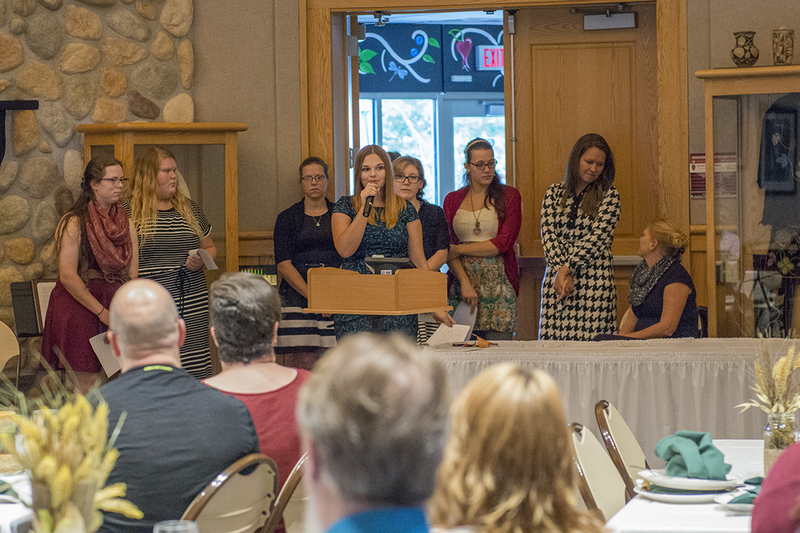 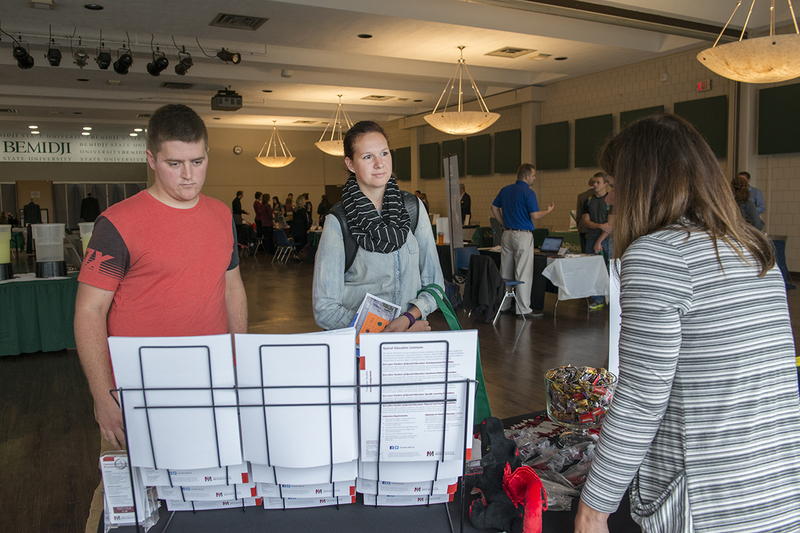 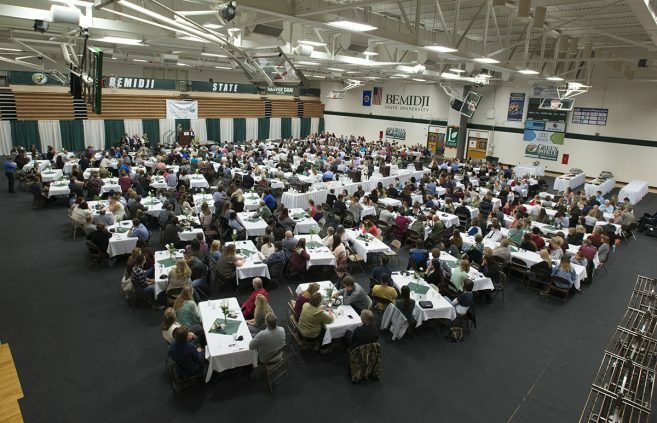 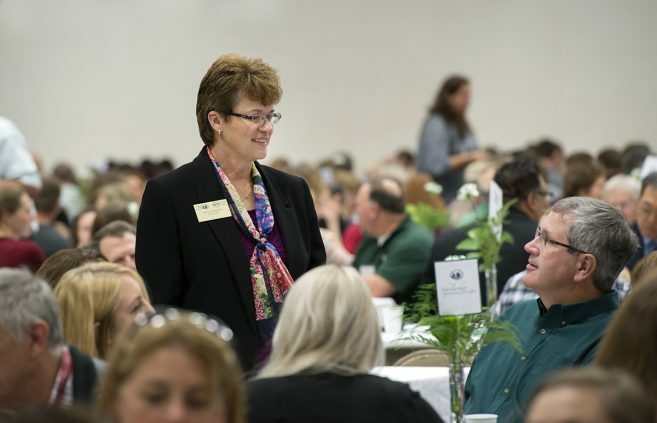 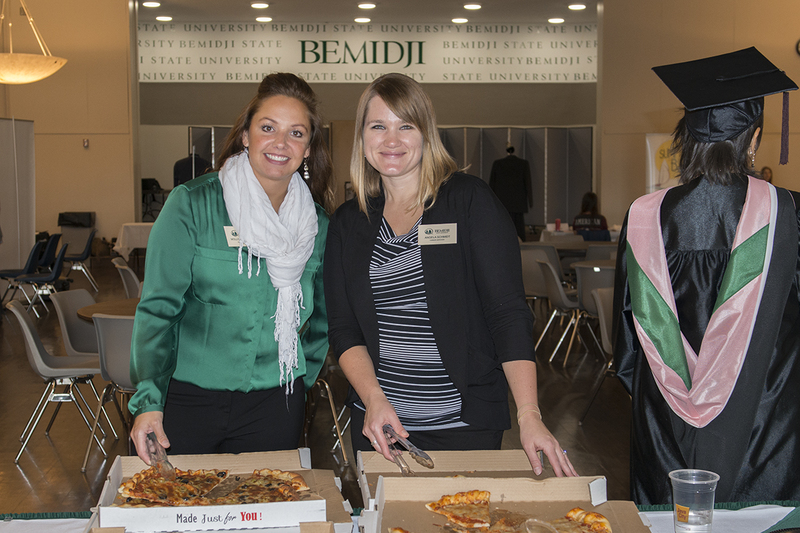 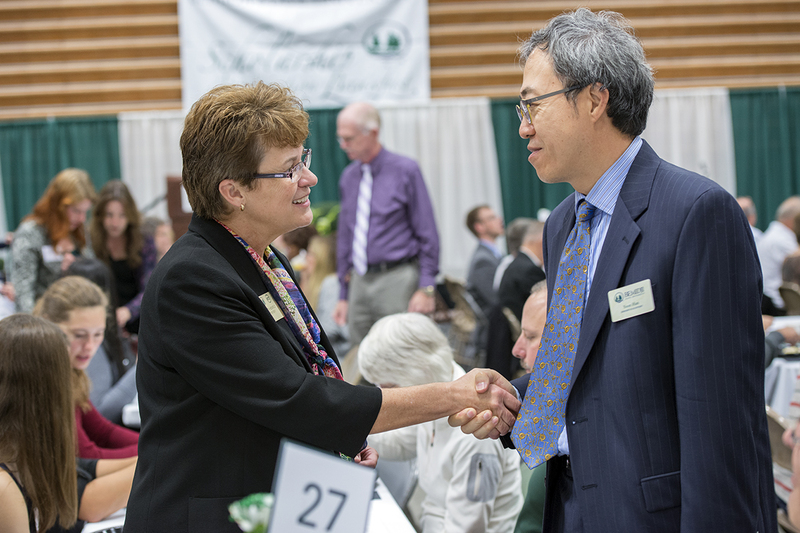 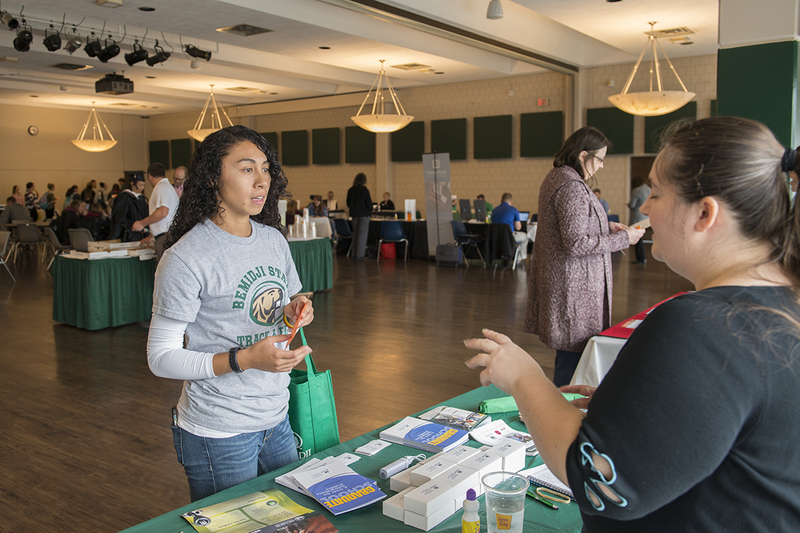 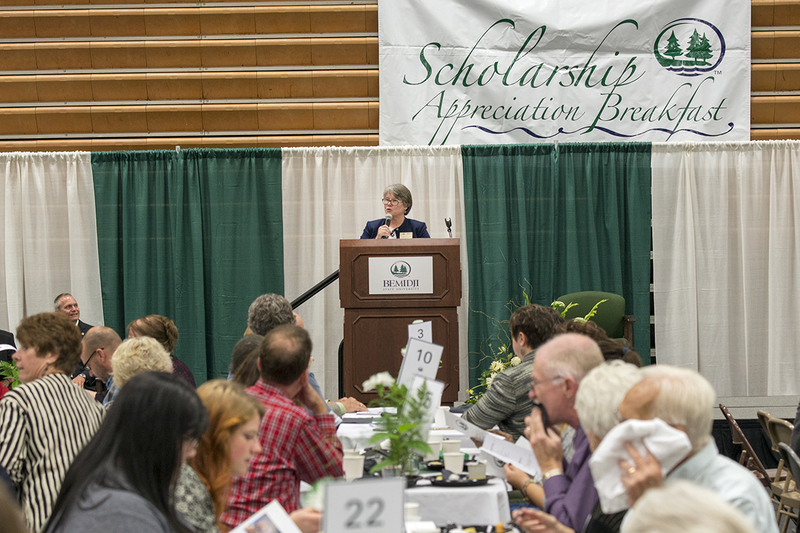 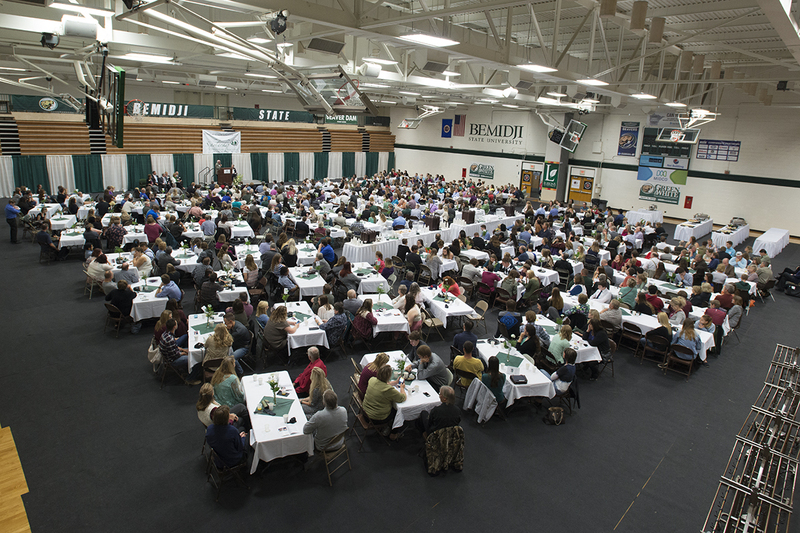 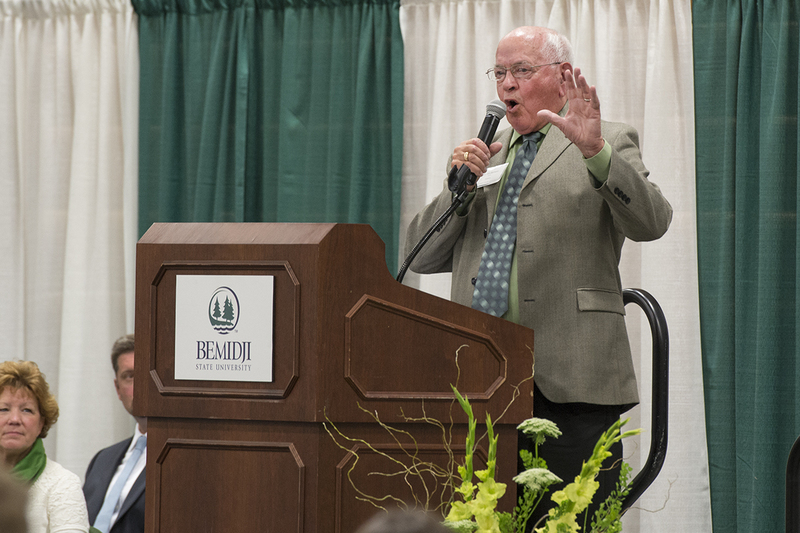 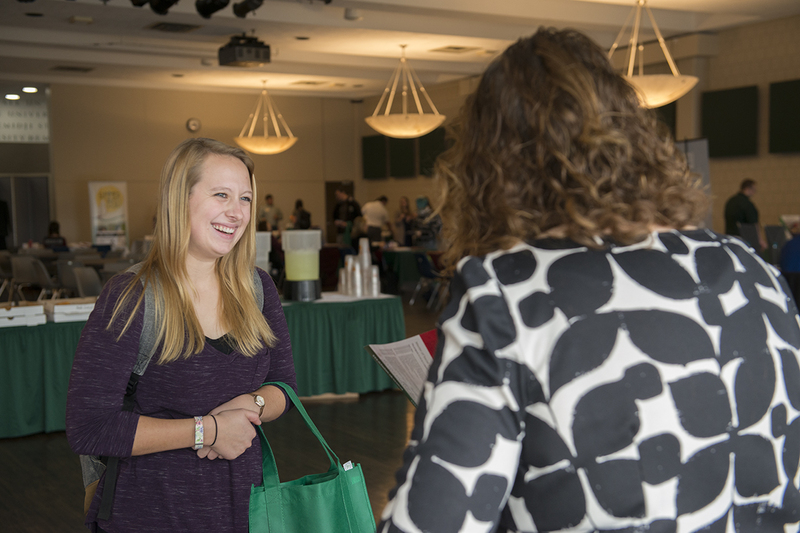 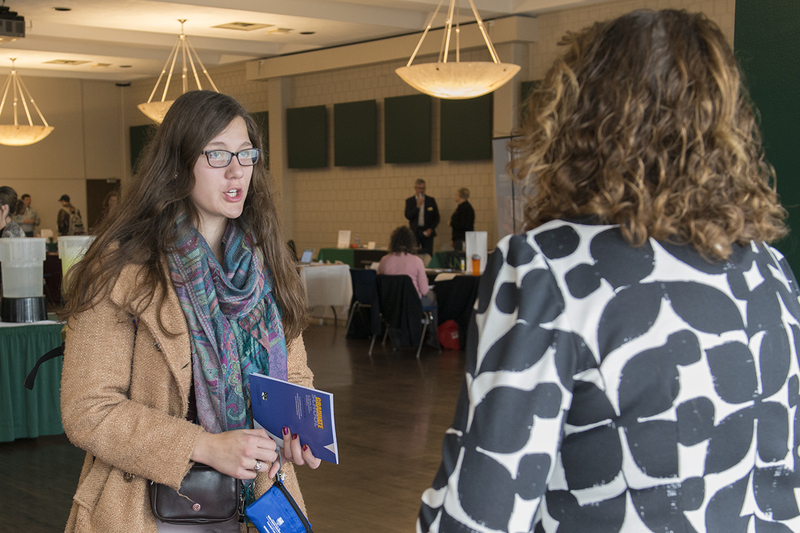 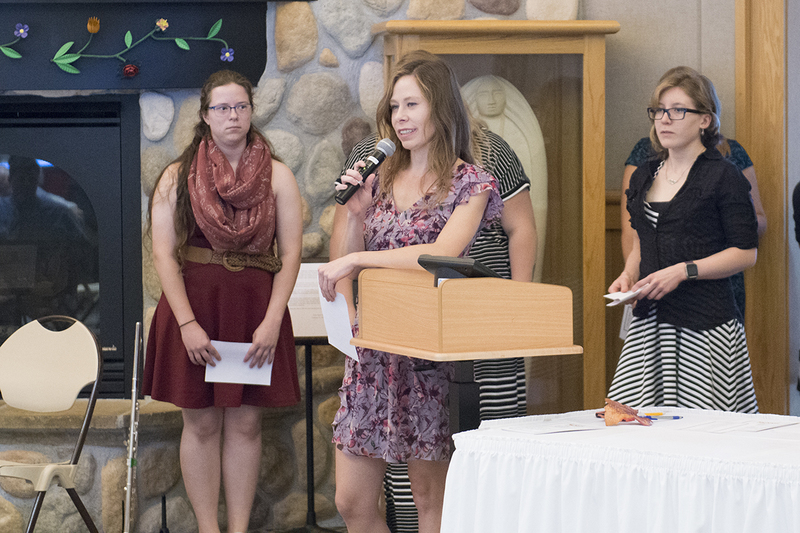 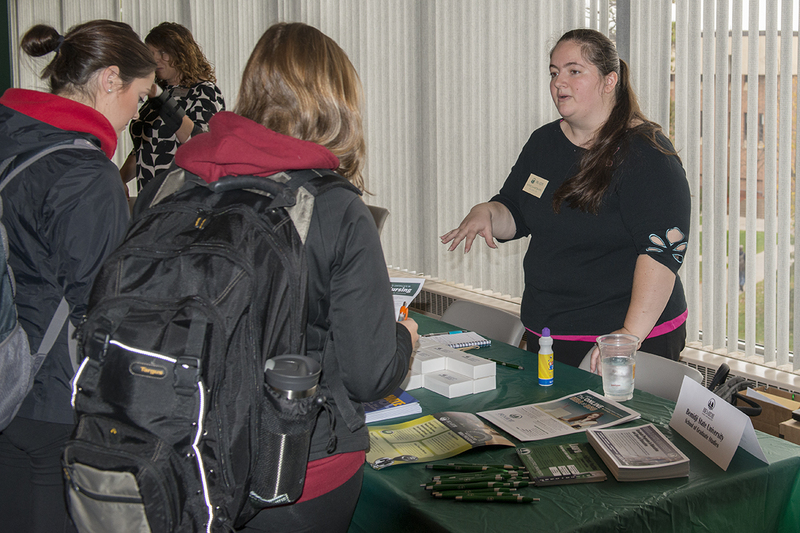 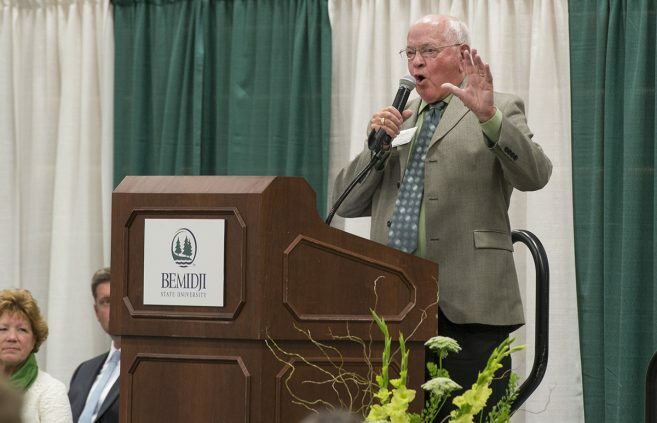 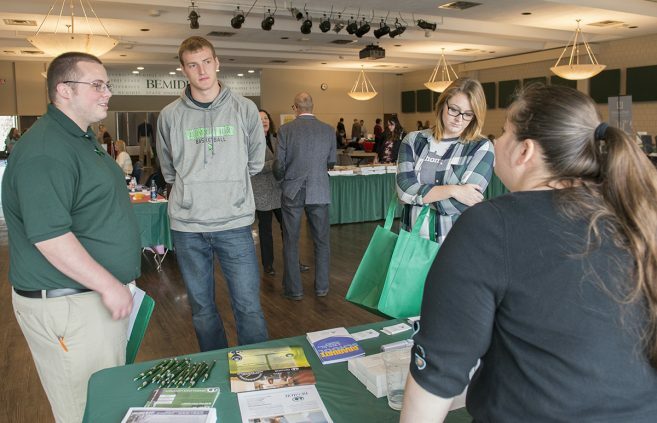 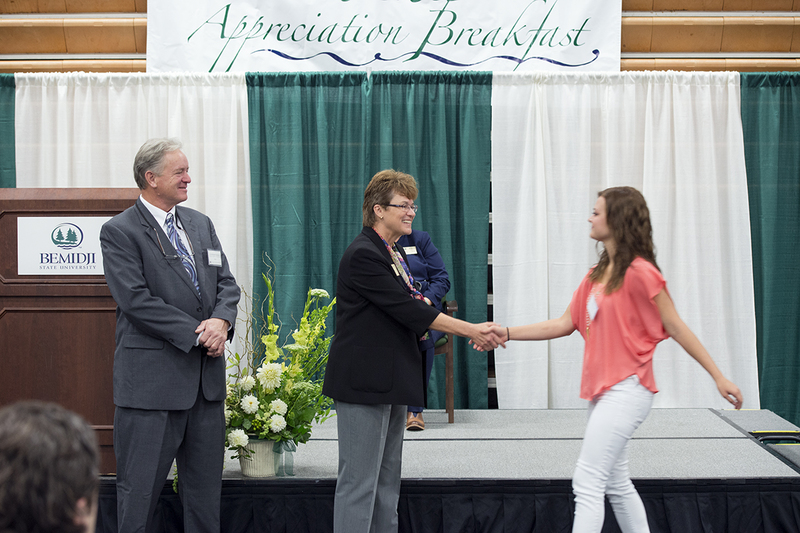 Bemidji State University recognized scholarship winners and the donors who support them at its annual Scholarship Appreciation Breakfast, held Sept. 17 in the BSU Gymnasium. 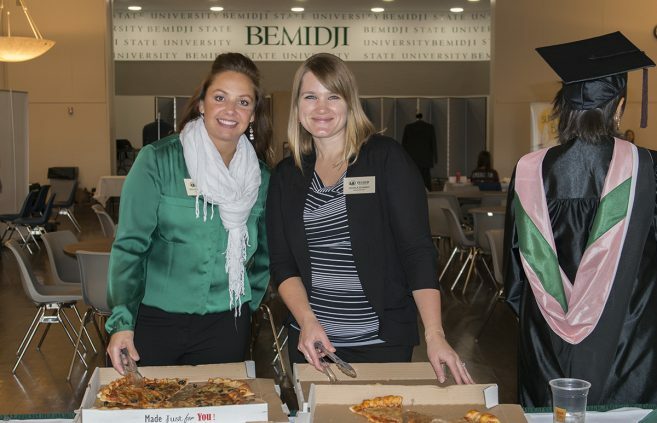 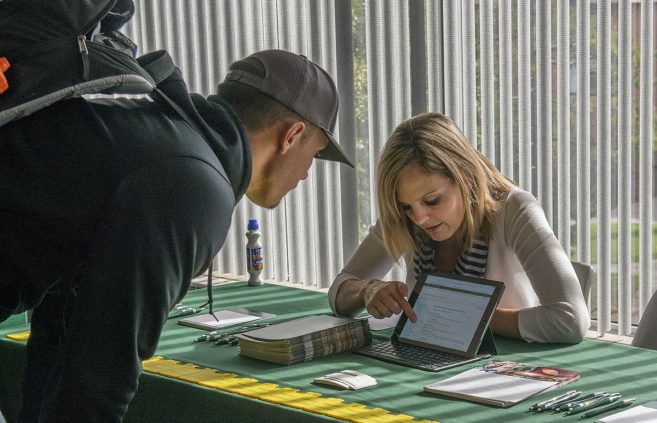 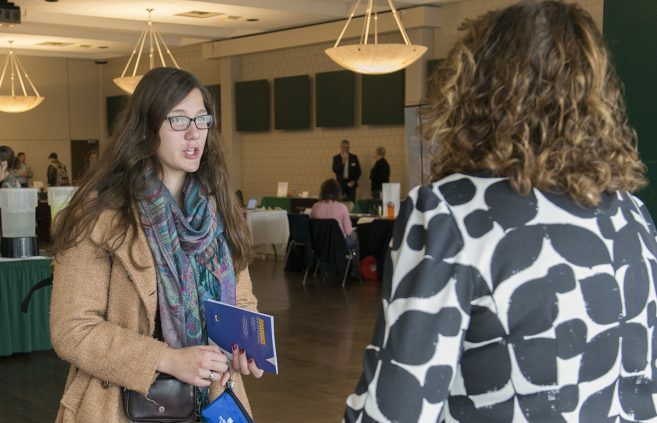 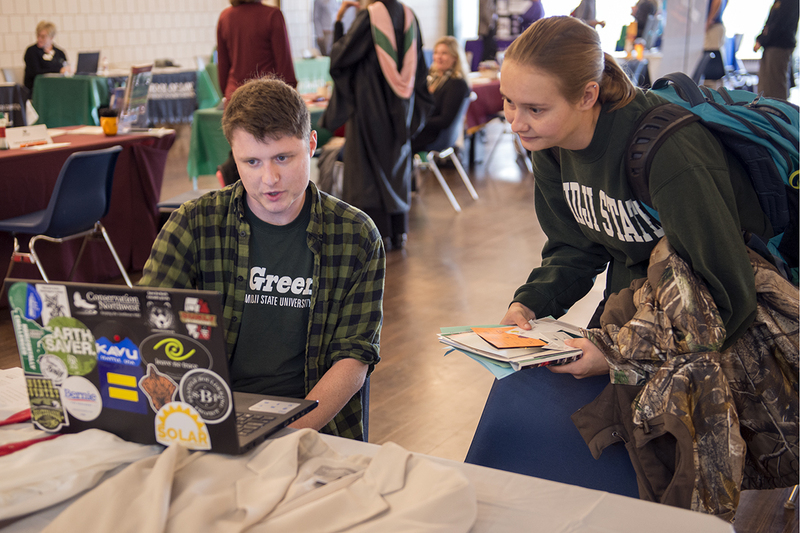 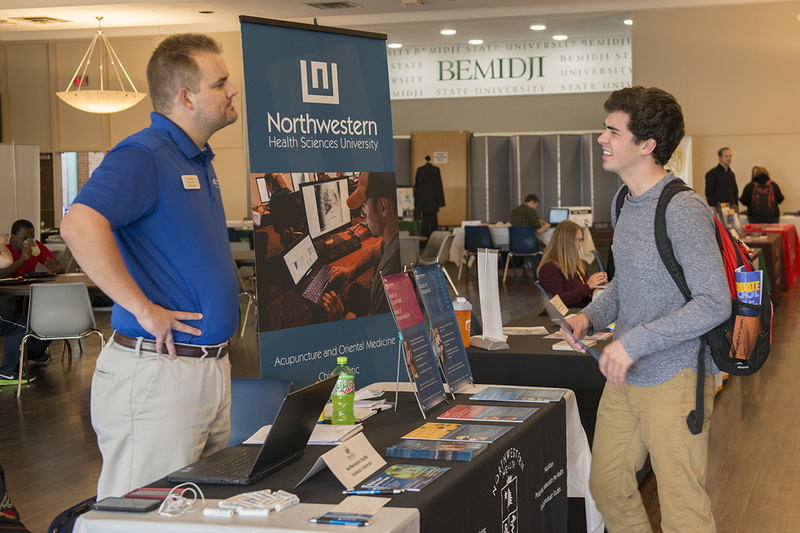 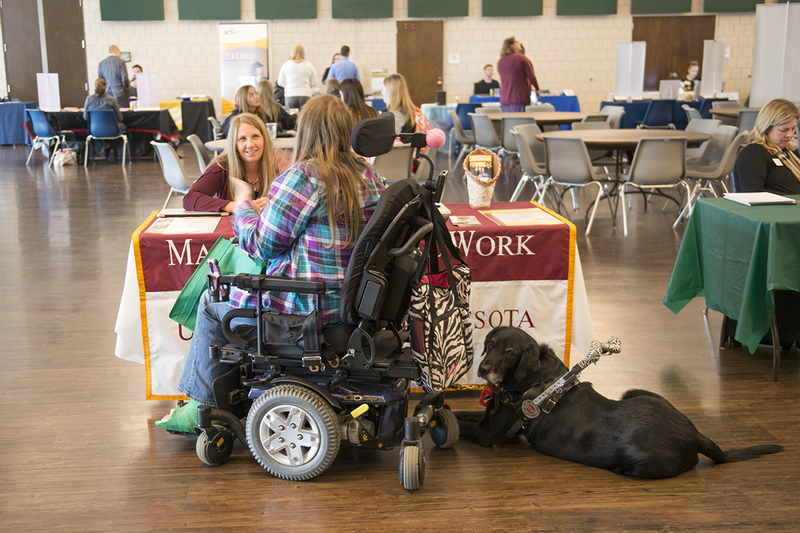 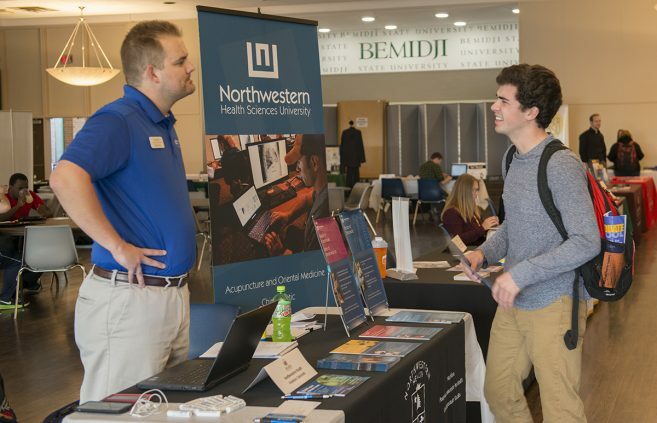 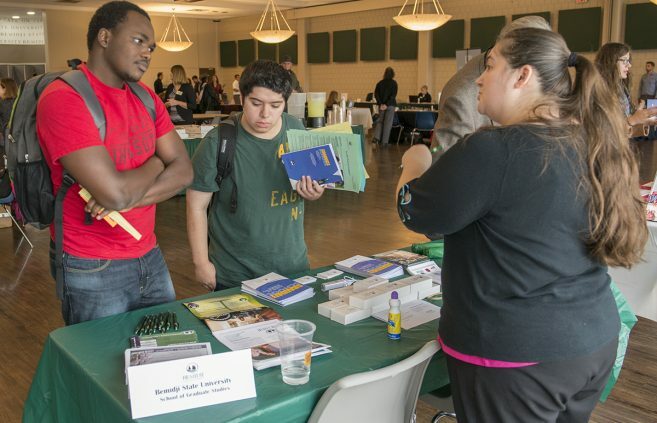 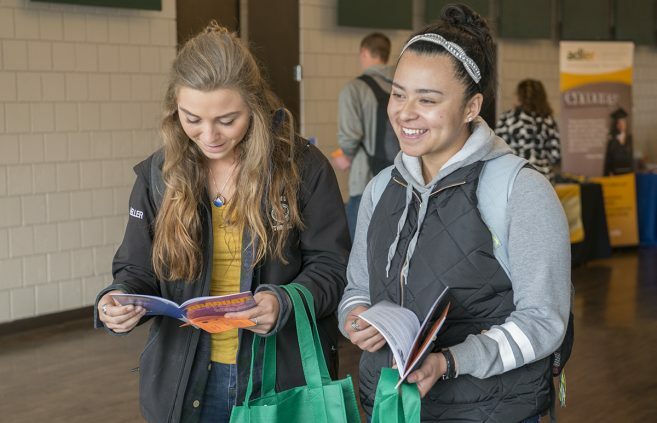 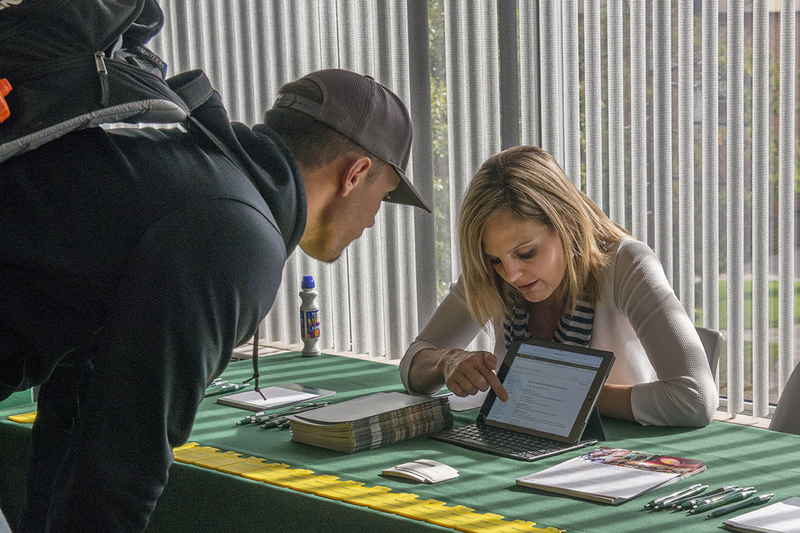 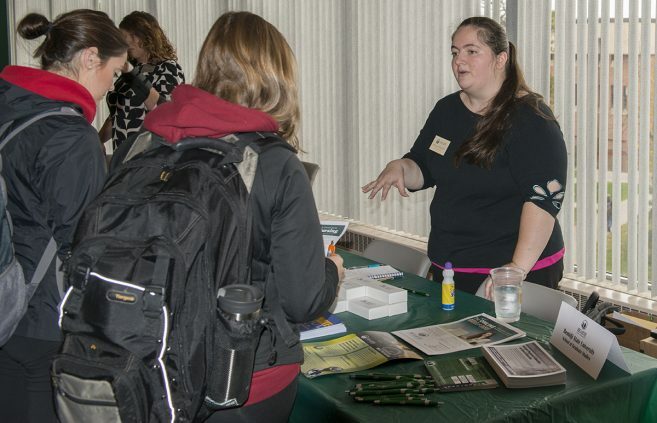 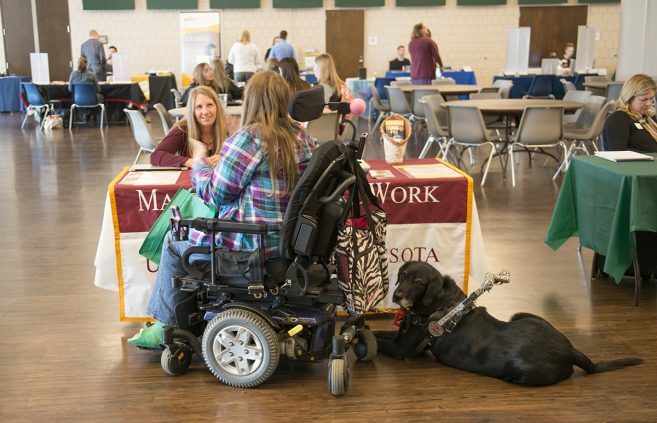 The Social Work Degree Center has included Bemidji State University’s online social work program on its list of the 10 best accredited programs in the country.